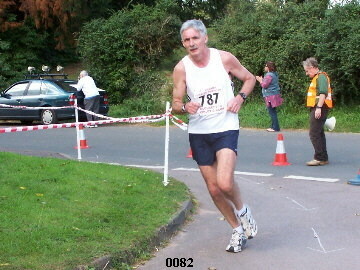 Gloucester AC had only one competitor in the Boxing Day 4mile race (held on 27th Dec). 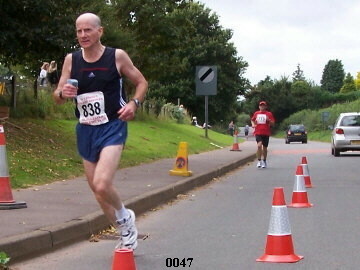 Arthur Daley ran his slowest 4 mile race for nearly two years to finish first over 55 in 25:50. A quiet drive through the countryside found us at Castle Combe racing circuit in just over an hour, for the EAS Chilly 10k on Sunday 25th November 2007. 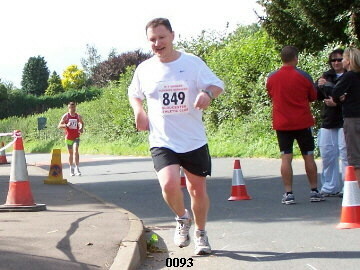 It was cool but sunny in the morning and good running conditions. Certainly after mid-day it was getting quite chilly so it was nice to have had the best of the weather. Michelle Stark, Fiona Roberts, Bogdan Jochym and Matthew Wade were keen to get some more racing done before Christmas. 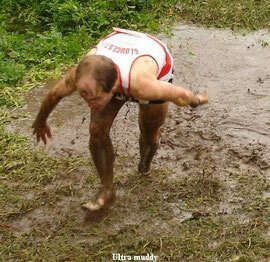 Michelle forgot she had a dinner party the previous night (lots of red wine) when she booked the race. 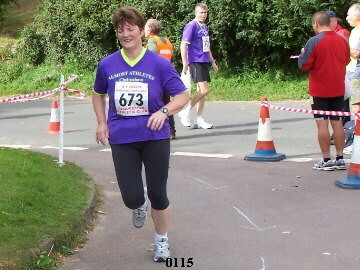 She was, however, delighted to get a PB in 50:58 (140th) taking about 5 minutes off her previous best. 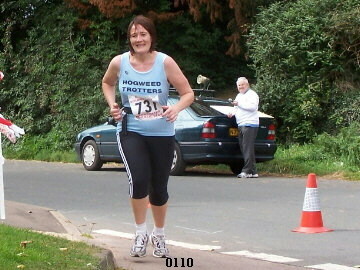 Newbie runner Fiona (171st) also put in a great PB in beating her previous one hour time, in 53:46, a huge achievement. 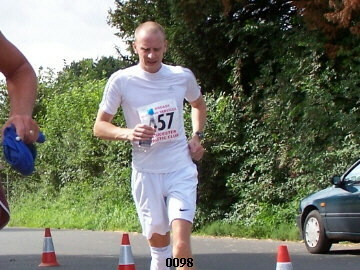 Bogdan (113th), although not at his best following hamstring injury, managed to get round in 48:22. 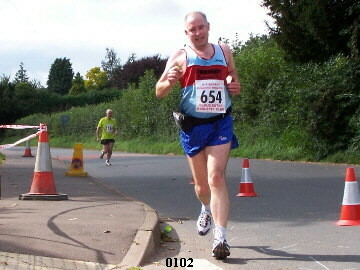 Matt, the first Gloucester AC runner (74th), was also recovering from injury but ran a PB of 44:22. There were 244 finishers with goody bags including T-shirt, chocolate and energy bars. 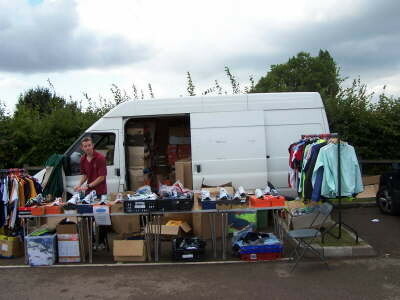 All enjoyed the good conditions and organisation. 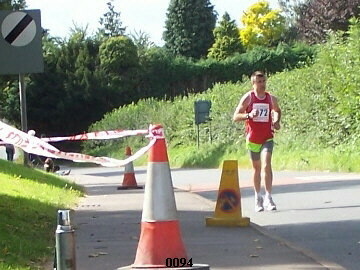 18th Birthday Present for Gloucester AC from Richard De Camps. 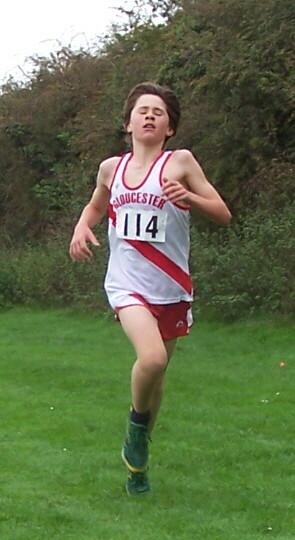 On his 18th birthday, Gloucester AC summer-signing Richard De Camps led home our cross country team last Saturday at Leamington. 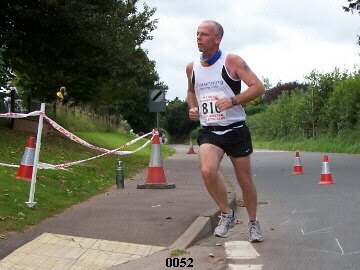 Richard put in a star performance that saw him finish 24th, which was 19 places higher than the first race at Blackbridge. 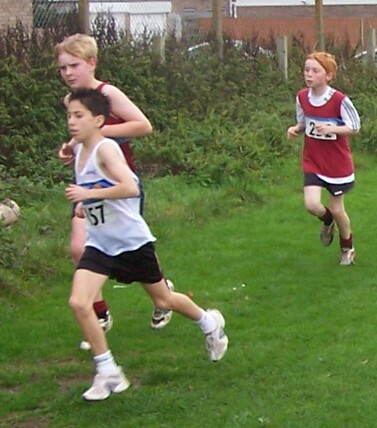 In addition to his first placing in the Glos AC team, birthday boy was also 3rd U20 runner and only just over a minute behind the race winner. 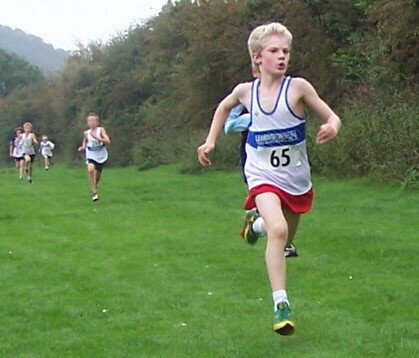 His father and coach Paul De Camps was very pleased with the performance, as the Leamington course was long and hilly and it proved that his son’s endurance was now starting to match the speed he has shown on the shorter track races this summer. 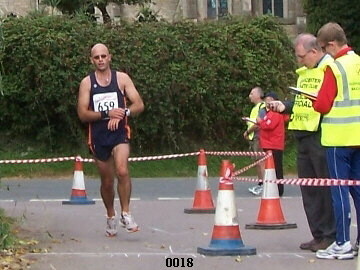 Second home for the club, and first club veteran placing was Dave Gresswell, who could only stay with Richard’s pace for the first lap before dropping back to finish 35th. Dave was otherwise in line to be first Glos man home but victory was snatched by the “in-form” Richard, or was he just wanting to get away early for his birthday bash? 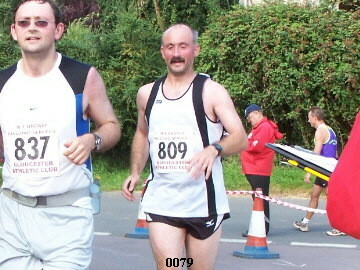 Just behind Dave was team captain, Ian “Lofty” Summers in 37th, ultra runner Jeremy Mower 42nd, and Lee Smith in 46th. 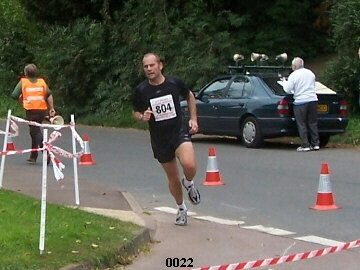 Both Jeremy and Lee also finished over 10 places up from the previous race. 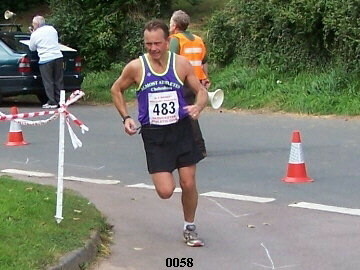 In 6th place for the club, and with his first ‘A’ team finish was Nick Cousins in 68th. 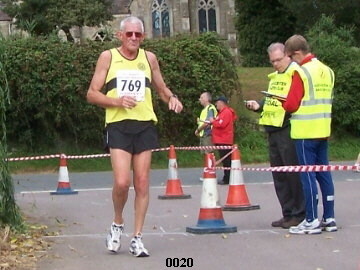 Club stalwarts Arthur Daley 70th, Dave Spackman 97th and Mark Thrall 109th completed the veteran team, closely followed by Bogdan Jochym 149th and Martin Chopping 158th. 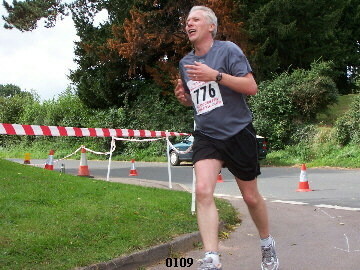 Gloucester AC Senior Mens Team 7th position. 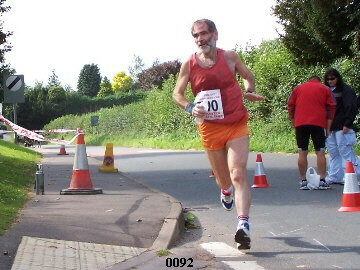 Gloucester AC Vets Mens Team 4th position. 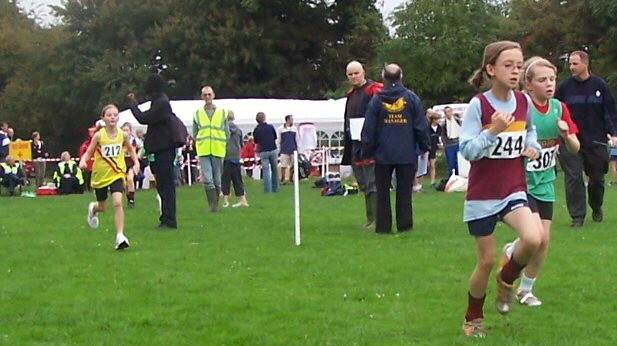 Glos AC juniors put in their now expected good performances, with the highlights of the day being a 2nd place finish by Bethany Wells in the U13 girls race. 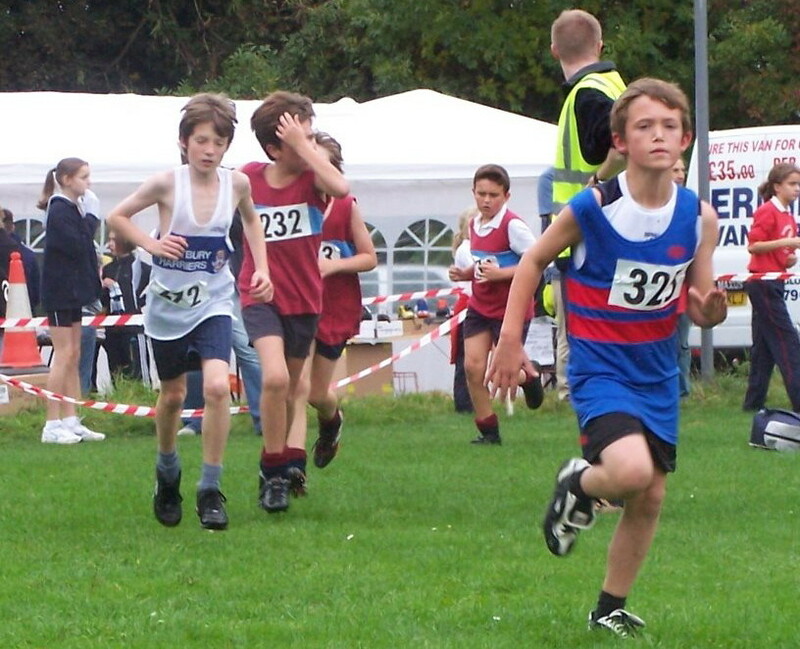 There was a third place finish for Hannah Jones U11 girls who was followed home by club mate Natalie Whitehouse in 21st, Adam Thrall was 3rd in the U13 boys with Keiran Meheran close on his heels in 6th. 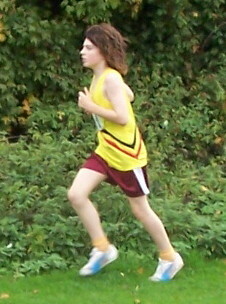 Becky Summers took 3rd place in the U15 girls with Georgi Lowe finishing strongly behind in 11th place. 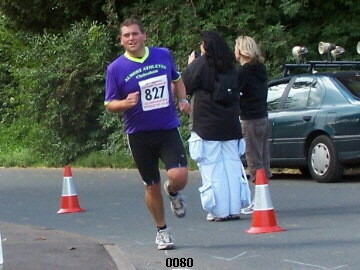 Three members of Gloucester AC took part in the BUPA Great South Run in Portsmouth on Sunday 28/10/07. 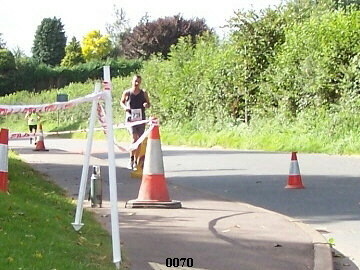 With over 18,000 entrants and 12,000 finishers, all three athletes finished in the top half of the table. 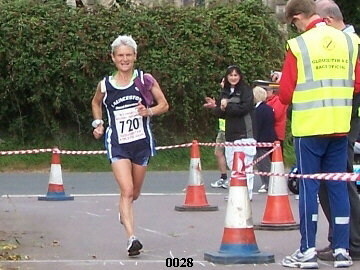 Despite terrible conditions of rain and a near gale force wind, Cath Nicoll managed to take over a minute off her previous best set on the same 10 mile course. 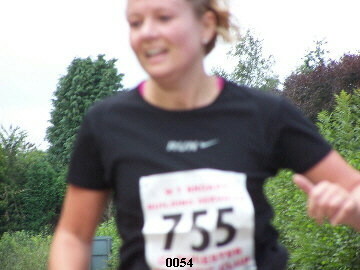 Nicoll ran well to 8 miles and was surprised that she managed to hold onto her form over a very testing last 2 miles into the wind. 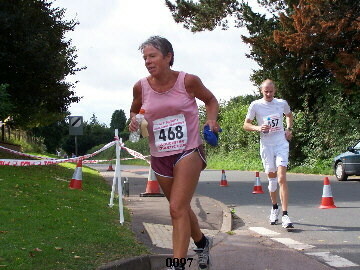 Nicoll now turns her attention to continuing training towards next years London Marathon. 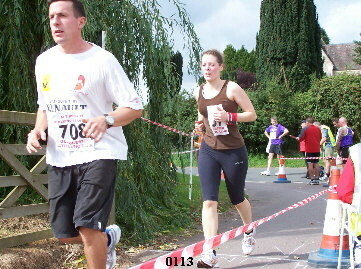 Also representing the club, were husband and wife team Dave and Gill Gresswell. 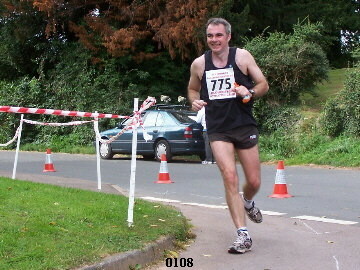 Dave was happy with his time and position, particularly as he had ran a cross country race the day before. 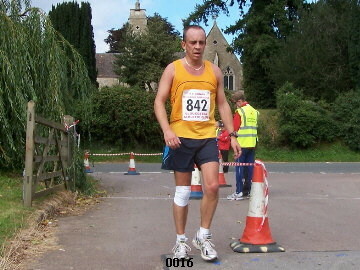 Gill, who is Nicoll’s training partner, also put in a good performance despite being hit on the head by an egg thrown at the passing runners! 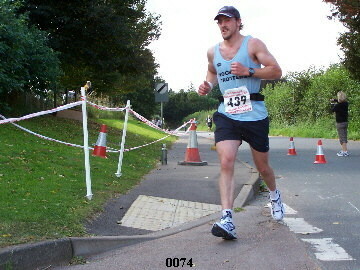 Dave Gresswell (V40) (82 Position) 1 hr 2 mins 3 secs – PB. 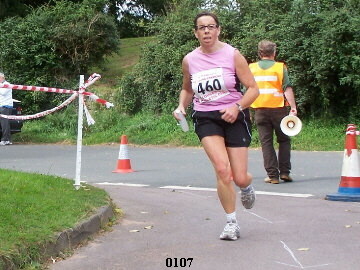 Cath Nicoll (SL) (5413 Position) 1 hr 33 mins 33 secs – PB. 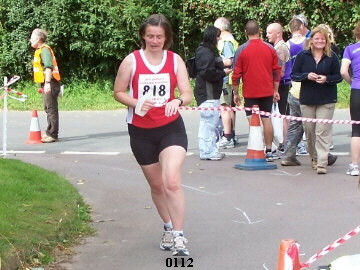 Gill Gresswell (SL) (7244 Position) 1 hr 40 mins 12 secs. 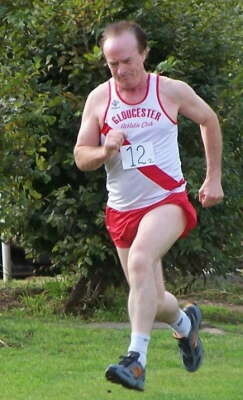 Gloucester AC’s senior mens team had a hard start to the league, despite a fantastic performance by Peter Kellie. 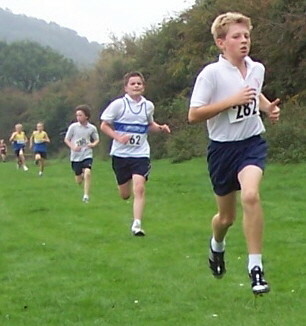 University student Kellie managed to finish 4th overall in the Division 2 race even though he has been concentrating on college studies recently, and has not been in full time training. Unfortunately, the promotion from Division 3 last season meant that the rest of the team struggled to score well against some strong midlands teams. 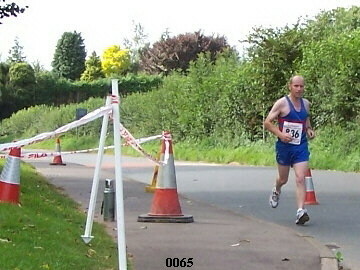 Dave Gresswell was next home for the club in 62nd position, closely follows by a returning to form Jeremy Mower, and Ian Summers. 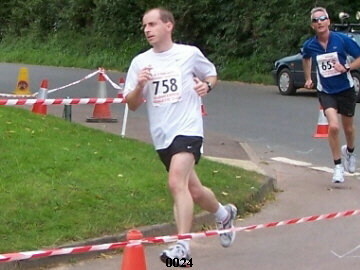 Completing the ‘A’ team positions were good runs by Lee Smith and Alistair Wakefield. The team are now 12th in the league and although club captain Ian Summers was happy that everyone had tried their best, he was concerned that the team was missing some key runners through a mixture of injury and work commitments. With 16 teams in the division, Summers said that the team would need to put out all the stops over the next three fixtures if relegation back to Division 3 was to be avoided. On a more positive note, the sons and daughters of the seniors showed how it should be done with some great individual performances. 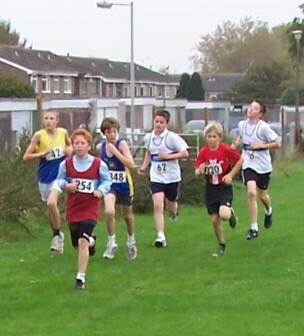 All the junior athletes finished well inside of the top ten positions. 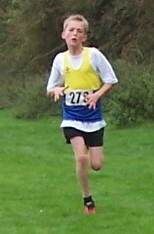 In the under 13 girls and boys age group, Beth Wells was 4th finisher and Adam Thrall was 5th. 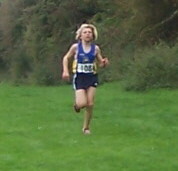 Becky Summers was 7th in the U15 girls, with Ben Coldray 6th in the U17 boys. 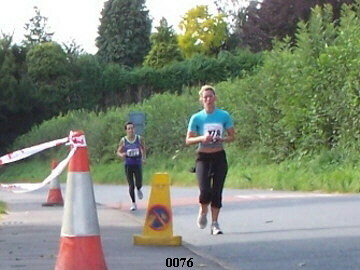 Placing 1st in the U17 girls was Sarah Hopkinson, and 1st in the U20 ladies was Sarah Waldron. 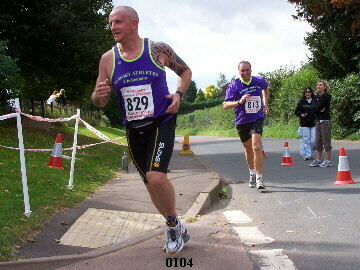 Thirteen members from Gloucester Athletic Club ran the Stroud Half Marathon last Sunday. 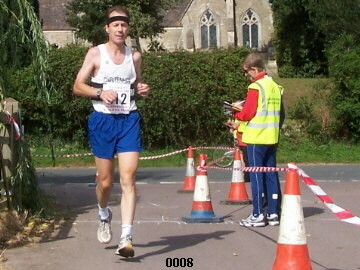 The in-form David Gresswell led the club home finishing in 36th position out of the 1445 finishers and ran a new personal best in 1 hr 19 min 49 sec. 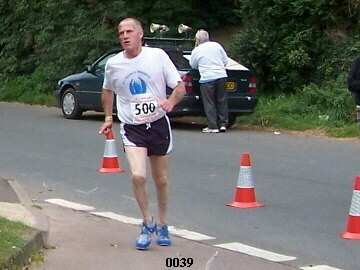 Ultrarunner Jeremy Mower could not keep up with Gresswell’s speed in the early miles and despite Mower’s strong finish over the last few miles he was over minute behind him. 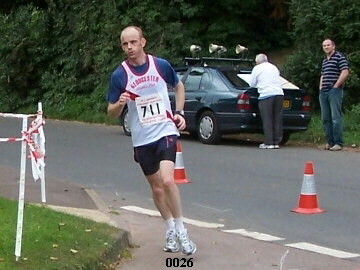 Although it will go down to the final race in the County Road Race Series, Gresswell is now favourite to win the Vet 40 category Bronze medal ahead of Mower. 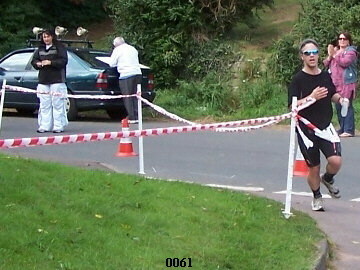 David Spackman had the best age group category placing with 6th place in the Vet 60 men and as the 2nd Vet 60 man in the County has secured another County Road Race Series title to his collection. 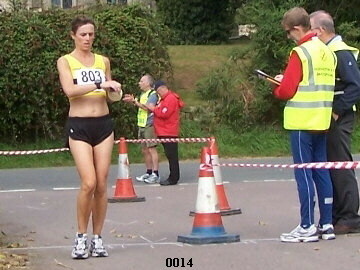 Emma Jeffery was the clubs first female finisher and was pleased with her time. 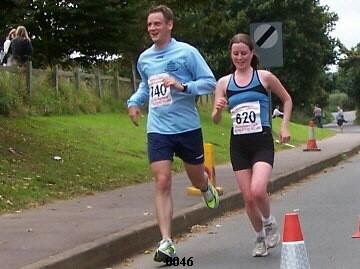 Mark Thrall ran a PB and Gemma Collier improved her PB by over 5 minutes. 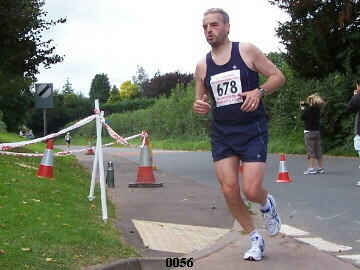 Kevin Davis ran a PB taking 7 minutes off his previous best at the Gloucester Half last month. 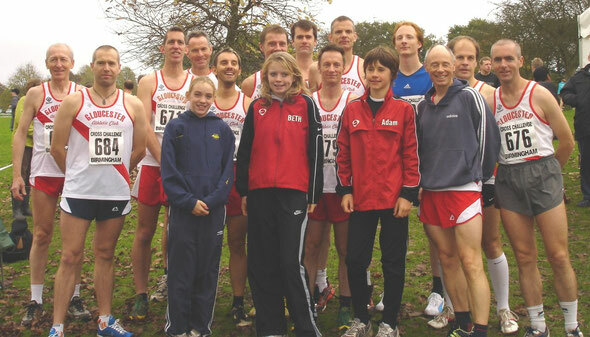 Gloucester Athletic Club were probably the most successful ladies side in the first Gloucestershire AAA Cross Country League race at Blackbridge, Gloucester. 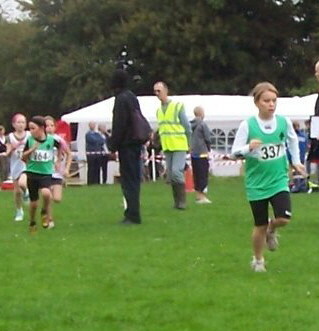 Hannah Jones led the under 11's team to fourth place with her own 4 placing in the 1.2 mile race in 9:08. 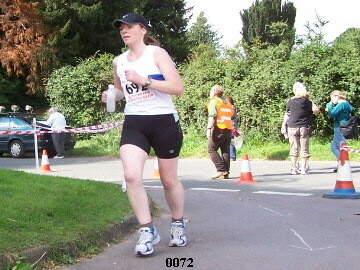 Gabriella Lowe was close behind in 9:31 with the team completed by Natalie Whitehouse in 10:51. 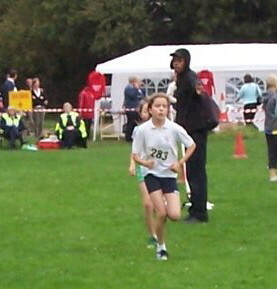 Bethany Wells stormed home a close second in the girls under 13’s race completing 1.2 miles in 11:49. 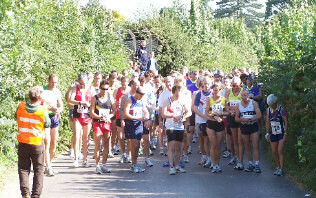 In the under 15's Amber Watson led into the finish funnel in 22:14 with Becky Summers gaining a well run third in 23:28. Alicia Green completed the team in 7th place (25:42) with Katie Cole finishing in 17th (29:02). 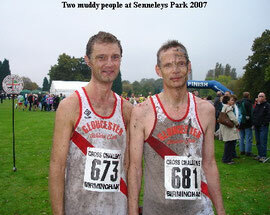 With 3 runners in the top ten Gloucester were the first team. 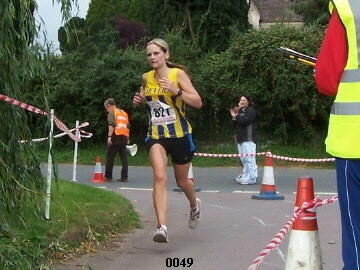 Sarah Hopkinson romped home winner by nearly a minute in the under 17 ladies race. 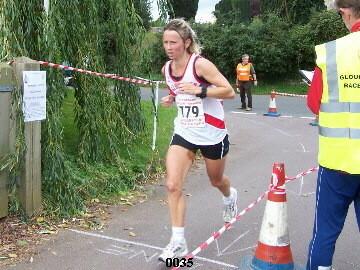 Emma Jeffery ran a steadily increasing postion to finish 31st in the Senior Ladies 4.4 miles (31:09) supported by Gemma Collier (32:43) finishing in 47th. 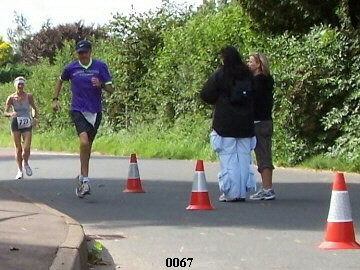 Both ladies were in the top half of the field. Harrison Codray and Adam Thrall ran an exciting race leading the field for most of the distance. 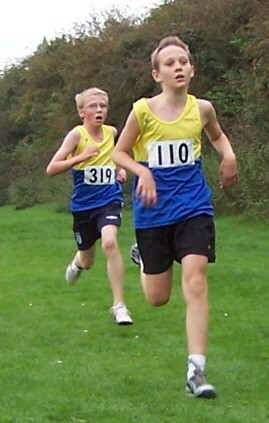 Harrison pulled away from Adam to win in 10:52 with Adam's second place (11:09) helping gain the team award. 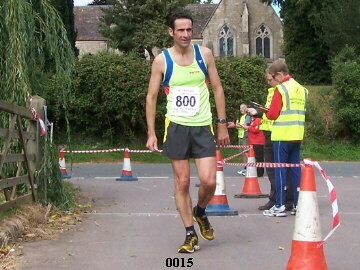 The team packed well with Keiran Meheran (11:55) in 6th place. 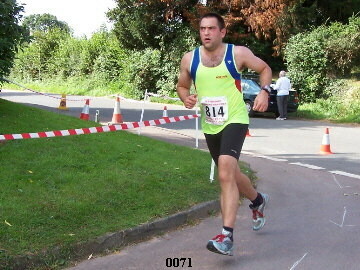 Brother Daniel in 14th (12:13) held off Sam Evans some 2 seconds behind. 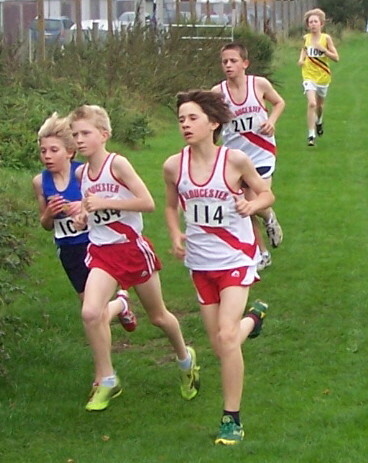 The under 15 boys saw Jack Evans make a top 10 finished in 21:12 (6th). 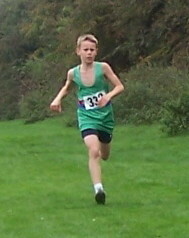 Ben Coldray (under 17 boys) ran a hard fought race to finish 2nd in 19:21. 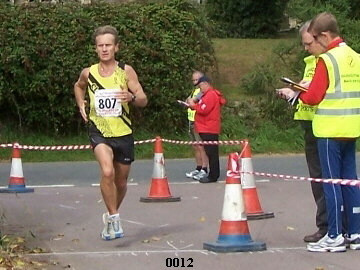 Peter Kellie, who is regaining form, was the first local runner home in the Senior Men 6.2 mile race finishing 5th behind 4 Bristol and West runners (32:31). 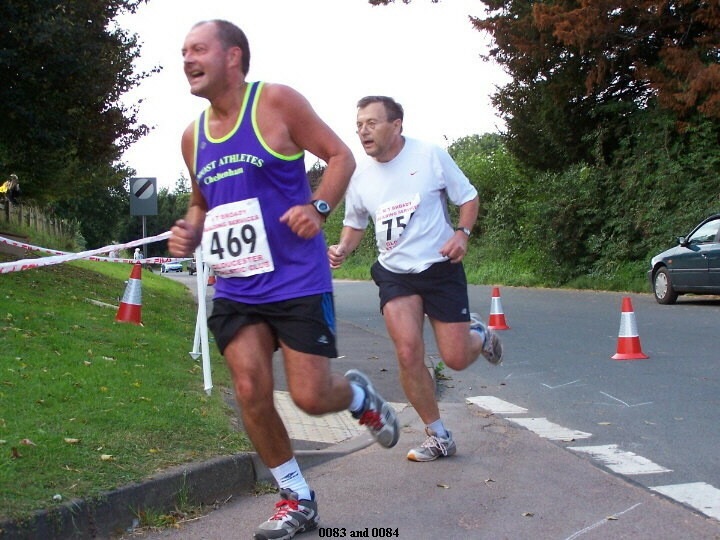 He had to wait a long time for the next GloucesterAC runner to come home; Dom Malsom led Dave Gresswell across the finish line in exactly 36 minutes to take 38th place . Gresswell was 14 seconds adrift. 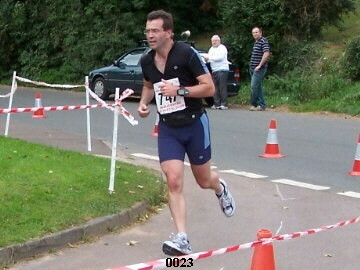 The team packed well as always: Captain Ian Summers V40, 44th (36:39), Jeremy Mower V40, 54th (37:19), Lee Smith 57th (37:51). 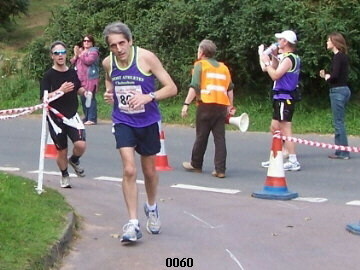 Paul Nash led the B team home 72nd (39:01), Arthur Daley V55, 76th (39:14), Nick Cousins 79th (39:34), Dave Spackman V60, 101st (41:33) Mark Thrall V40, 108th (42:06), Dave Edwards in his first cross country race, 115th (42:55), John McLean V55, 118th (43:09), Arnold Yeomans V50, 135th (45:52). The Senior mens team placed 5th with the B team first B team to complete. 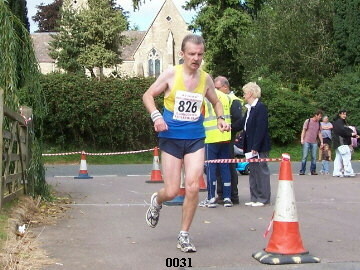 The veterans team were 4th on equal points with Cheltenham Harriers whist the veterans B were second in their category. 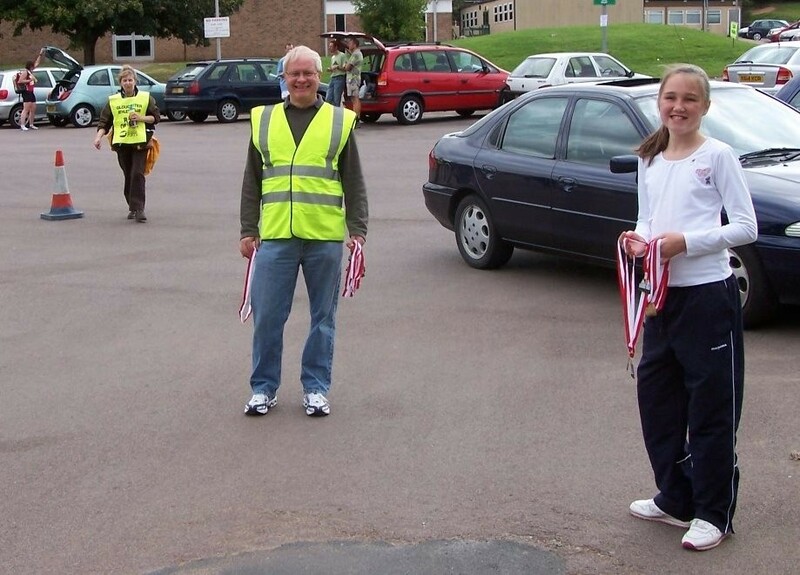 The meeting organiser thanks all the people, both Gloucester AC and Severn AC who helped setting out the course, marshalling, providing refreshments and taking down the course. Great teamwork from every one made it go well and smoothly. 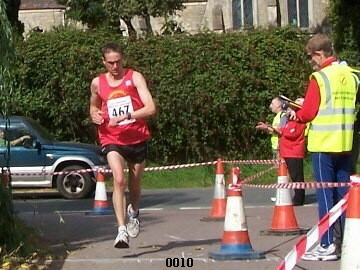 Three members of Glos AC ran the Cricklade Half Marathon last Sunday. 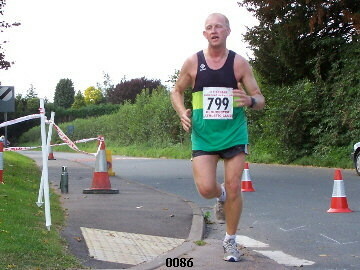 First home for the club, in fourth place overall, was Dave Gresswell V40 in a personal best time of 1hr 19mins 56secs. 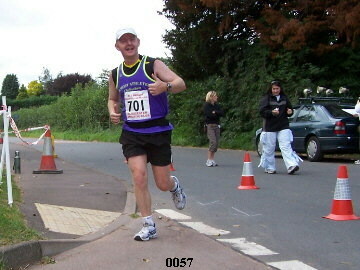 Aided by a flat course and near perfect running conditions, Gresswell was pleased with his run as he also went through the 10 mile mark in just over 60 mins which was one of his race aims. 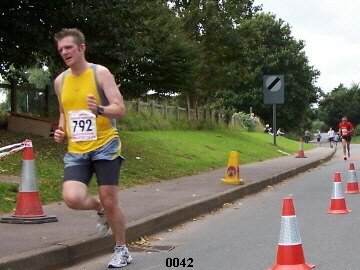 Although he tired towards the end, he managed to hold onto one of his best position finishes in an open race, and picked up a veteran prize. 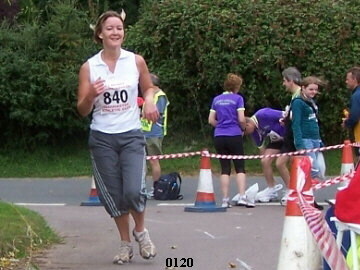 Next home was Cath Nicoll in 2hrs 4mins, running very close to her best time for a half marathon in a race that she was using as a training run. 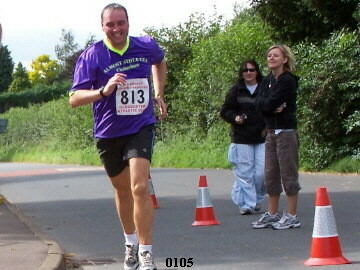 Nicoll, who is coached by Gresswell, felt good the whole way round and finished strongly. 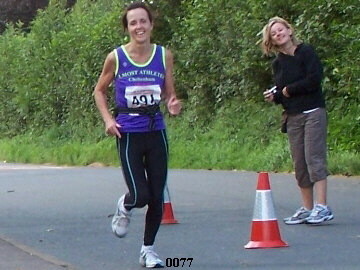 She is looking forward to the Great South Run later this month, and her ultimate goal of running the London Marathon next year. 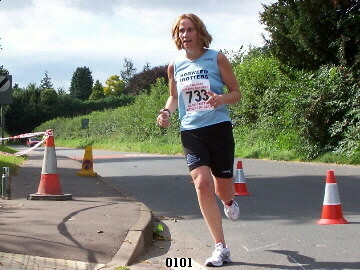 Completing the Glos trio was Gill Gresswell in a time of 2hrs 13mins. 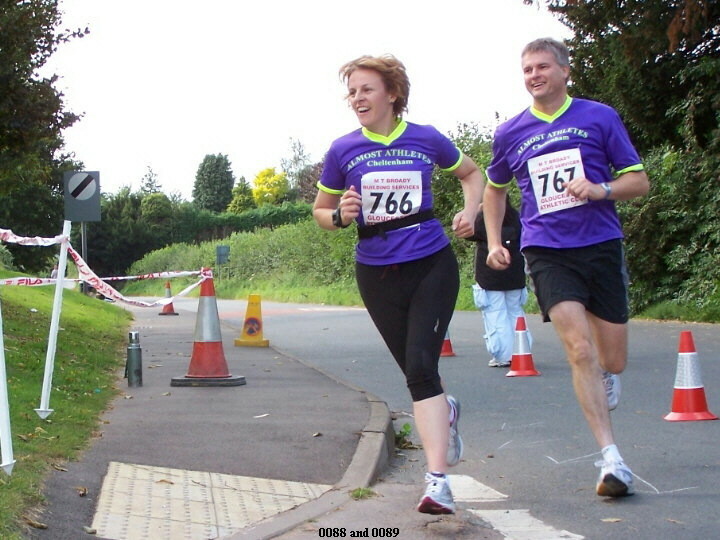 Gill found it hard over the last 3 miles, but was generally pleased as she prefers the slightly shorter races of 10 miles, and this was also good training for her Great South Run entry. 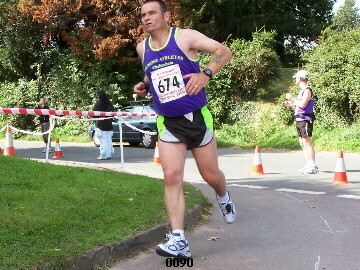 Two other Gloucester members ran the Oldbury 10 hosted by Thornbury Running Club. 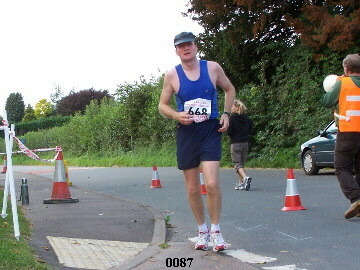 Dave Spackman won the Vet 60 category in 01:16:27 (10 minutes clear of the next runner in his category) and was 66th overall. 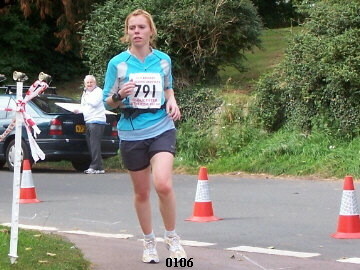 Emma Jeffery was 11th Senior Female category and 138th overall in 01:16:19, within a total field of 249. 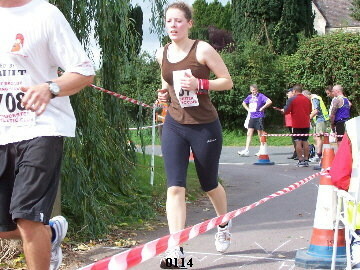 Emma ran a steady race in preparation for her Stroud Half-Marathon. Gloucester Athletic Clubs older runners triumphed in the County Cross Country 2 mile relay Championships at Plock Court on Saturday 29th September 2007. 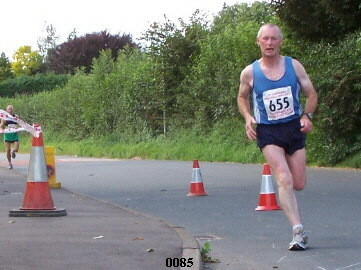 Arnie Yeomans running first leg for the Over 50’s team produced the fastest run by any 50 year old to bring the team home second behind Severn AC’s over 50’s in 13:30. 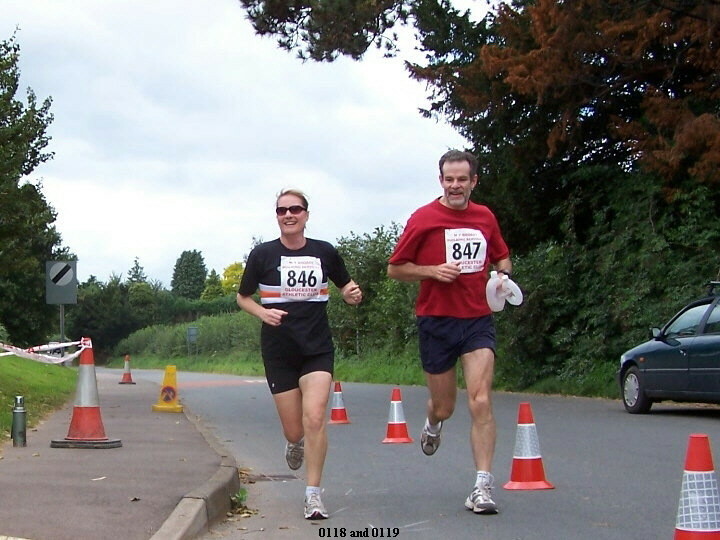 This race developed into a battle of contrasting tactics as Severn raced their fastest runners first compared with Gloucester’s approach which gave their slower runners the stimulus of racing the earlier legs before the field spread out. 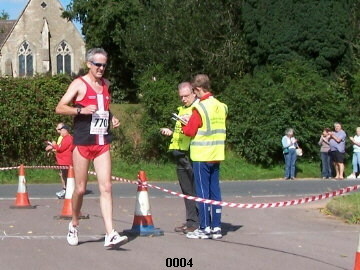 John McLean running his first race since spring and his last relay in the over 50 age group maintained position with an excellent time of 12:59 and handed over to Arthur Daley who had to take back an almost 3 minute deficit on Severn. 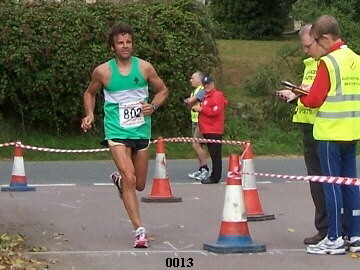 Daley ran the fastest leg (11:31) by an over 55 to ease the Gloucester team into gold position for the second year on the trot. 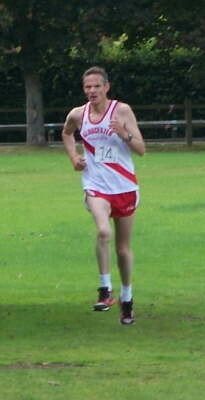 The Senior Men’s team depleted by other commitments finished consistently in the mid teen position. 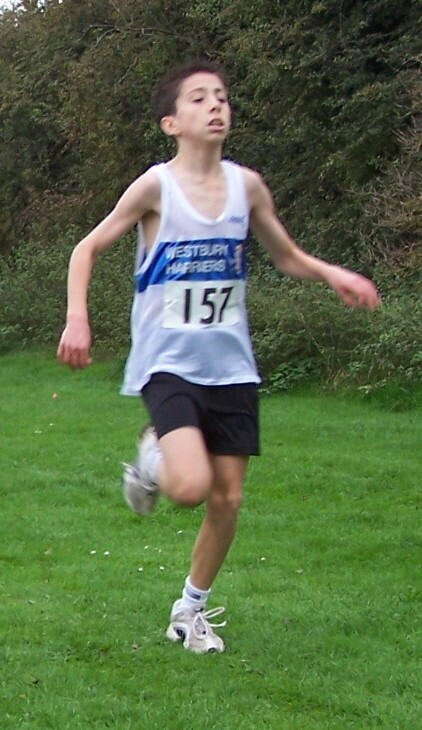 Nick Cousins brought the team home on the first leg into 15th with 11:25 and handed over to over 55 Humphrey Phillips who recorded 13:01 to bring the team home in 18th. 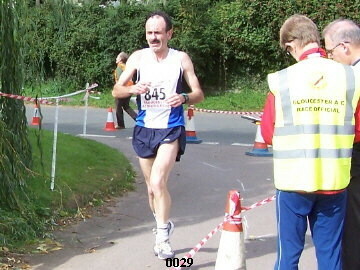 Veteran 45 Paul Loveridge was disappointed with his 13:44 whilst Paul Nash ran the final leg and his shortest race ever to finish in 11:53. 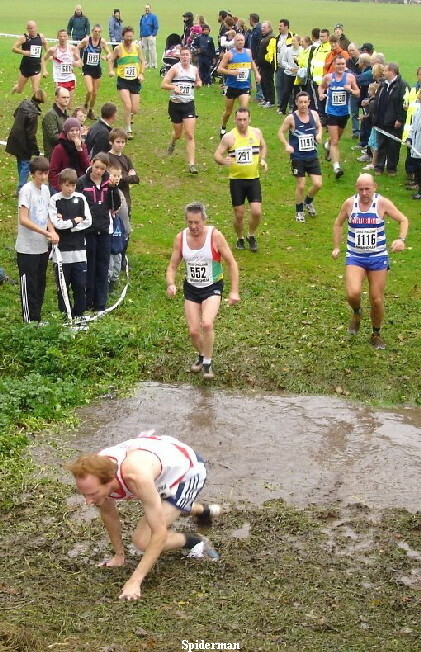 For the first time in several years Gloucester ladies competed in this Championship; the team was the youngest in the event. 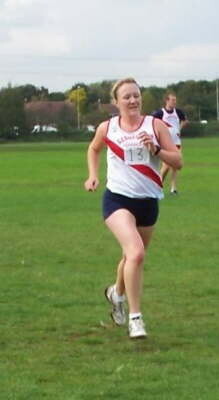 Gemma Collier ran 13:23 for first leg. 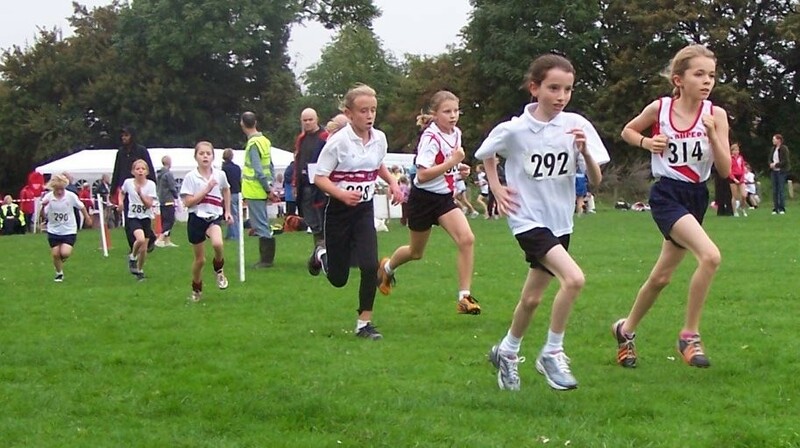 Becky Summers (under 15 lady) ran the fastest leg in the team and also won the prize for the fastest leg by any 15 year old in the event (12:30) Alicia Green produced the second fastest U15 time of 13:25 to bring the team home 6th. 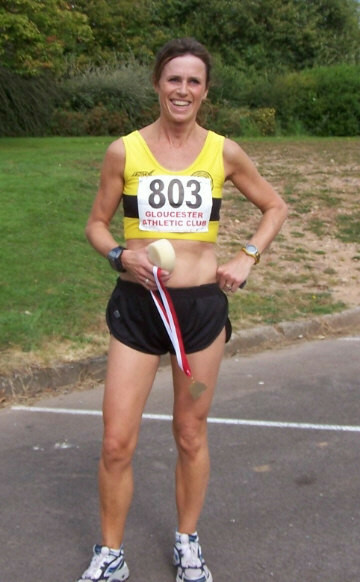 This position was maintained by sprinter Marion Loveridge running a very satisfying 19:54 as the 2 mile course was well over her normal racing distance. The Gloucester Half-Marathon was postponed from July, due to flooding. 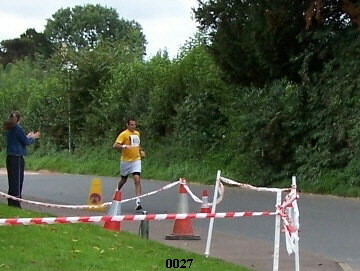 Consequently there was a smaller race entry than normal. 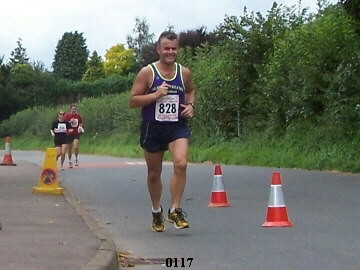 Nevertheless, running conditions were very good and all went well. 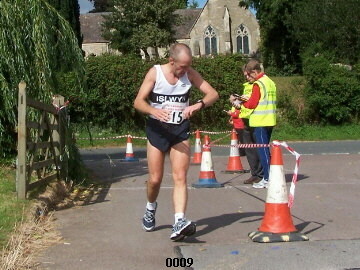 Clive Baker (M40) of Tewkesbury AC was overall winner in 01:18:20. 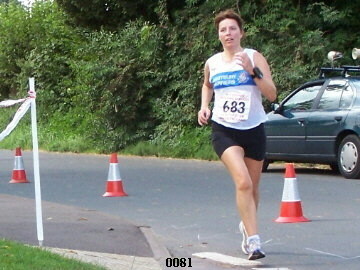 The first lady home and 14th overall was Kate Wright (L40) of Stratford AC in 01:31:08. 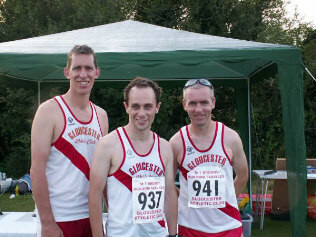 Gloucester AC had some representation in the Senior Men category with Tom Randles 01:22:41 (5th), Mathew Wade 01:37:25 pb (26th) and Kevin Davis 02:30:08 making sure everyone was home safe. 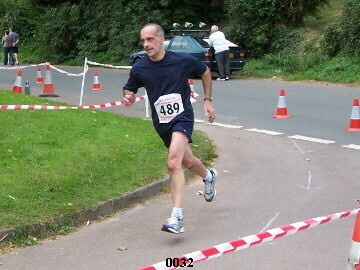 This was Kev’s first run of this length and he finished despite injury. 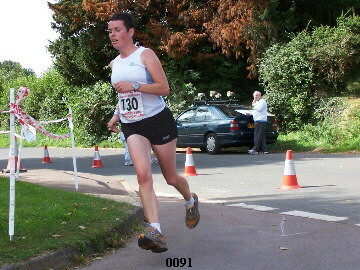 Emma Jeffery was 3rd Senior Lady and 35th overall in 01:40:40. 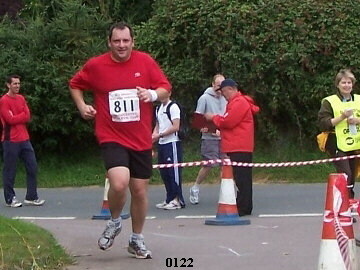 The most memorable fact was that a total of 18 Almost Athletes participated and they romped away with the team prizes. 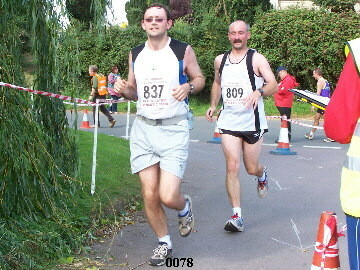 They were also quickly off to travel for their next big race, the Berlin Marathon. 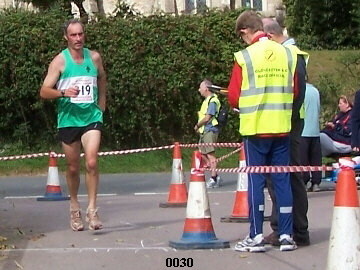 Gloucester Athletic Club's two competitors in the Robinswood Hill Fell Race were both produced excellent results. 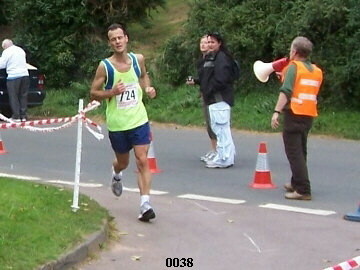 Paul Nash running two days after his slowest for two years Pilot 4 miles showed his strength over the hills by taking a minute off his previous best time to finish second senior man in 39:03. 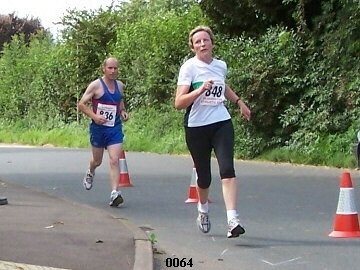 Emma Jeffery produced a storming second lap to be first lady home. 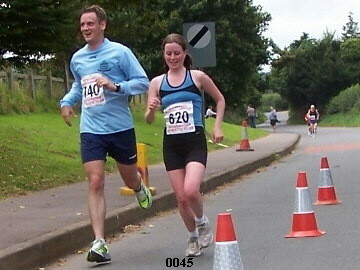 Having tracked Chrissie Griffiths of Stroud for the first lap, Emma pulled away on the ascent of the hill to finish nearly a minute ahead in 44:19. 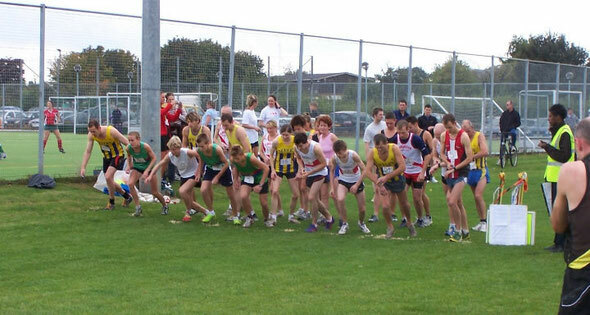 Only 2 of Gloucester Athletic Club's 30 strong distance squad chose competing in the Pilot 4 mile road race over coach Lofty Summer's hill repetition session on Thursday 6 September. Both finished in the top 10. 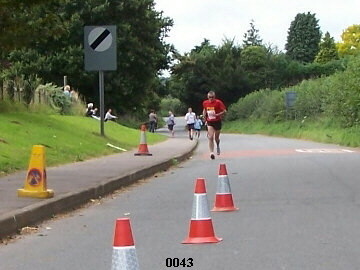 Paul Nash and Arthur Daley both passed the 1 mile mark in under 6 minutes, Nash trying to ensure that his usual slower start did not disadvantage him. 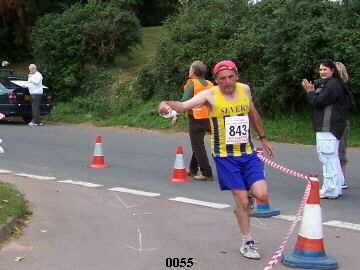 They formed a group with Les Davies (Severn AC) who closed on the leading pack of 4 just after the mile marker. 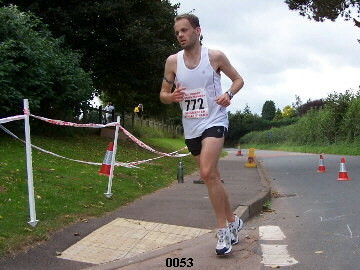 Daley remained with the group up the steep hill at 1.5 miles reaching the halfway point some 20 seconds ahead of Nash and involved in a battle with training partner Lucy Woodyatt (Severn AC). Daley tried to pull away from Woodyatt only to be caught at the beginning of the mile uphill drag and for Woodyatt to gain a 7 second lead by the finish. 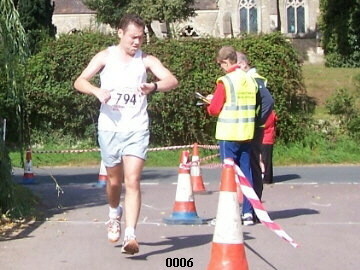 Daley finished 6th in 24:44 his fastest time over that course. 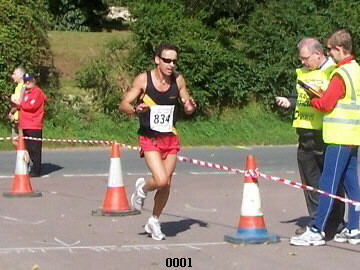 Nash had been involved in a battle with a Stroud runner but gained heart when caught by Gary Barnes - who leads the training group Daley and Woodyatt belong to - and sustained speed to out sprint both Barnes and the Stroud runner finishing 9th in 25:39. 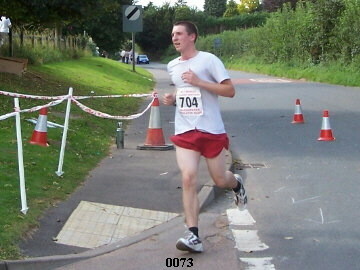 Gloucester AC were represented by Alistair Wakefield and Bogdan Jochym in the postponed Frampton 10k road race on Tuesday 21st August 2007. 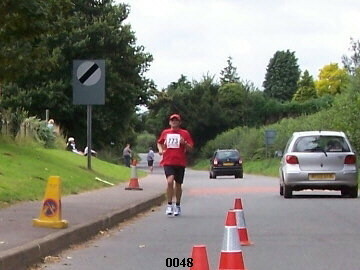 In slightly warm, if not near perfect running conditions Alastair clocked 39:49 finishing in 58th place. 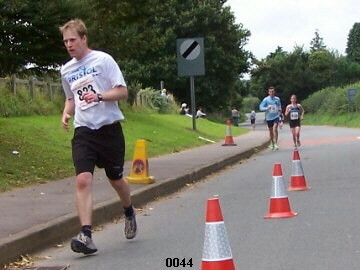 Bogdan started cautiously allowing for the incline in the early stages but then ran strongly for a PB time of 46:47 finishing in 178th place. 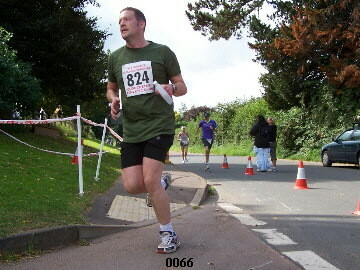 The race ended with 380 runners each with a voucher for a free beer. 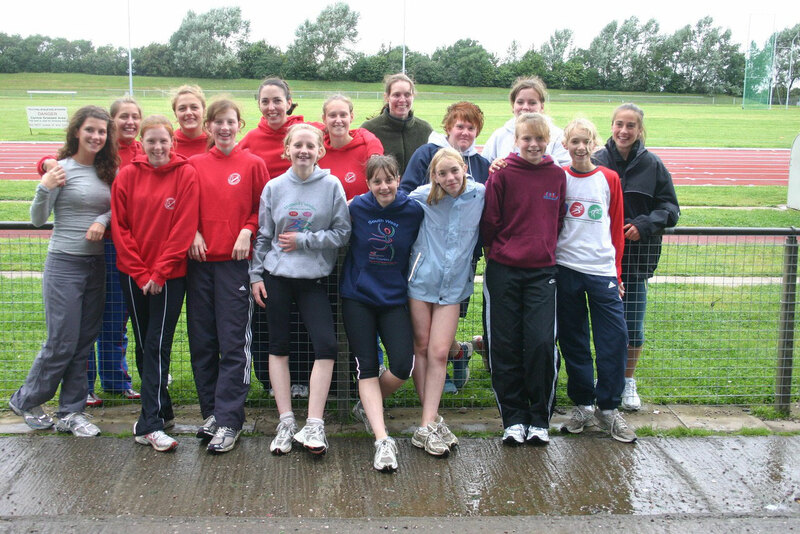 Although just pipped into second place on the day, Gloucester Ladies won their first Midland League title on Sunday 19th August 2007 at Telford. 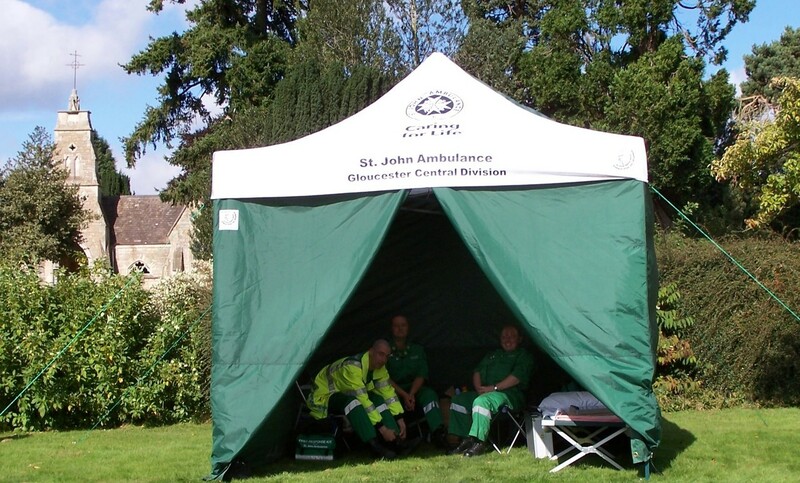 A resurgent Stratford team came from fifth place in the table to surprise everyone with their win but the lead that Gloucester had established earlier in the season meant that they would have had to be beaten into sixth place in order to fail in the league promotion stakes. Second place on the day was more than enough and Gloucester ladies emulated their male club counterparts with a comfortable victory of 23 league points over their nearest rivals, Shrewsbury, with 19 points. The senior throws were dominated by Bev Jones, Kate Ynell and Nikita Morgan and the senior sprints by sisters Sophie and Cleo Lambert who were joined by Amy Whitcher and Alex Purcell to win the 4x100 relay by over thirty metres. Emily Pidgeon won both the 800m and 1500m and her running partner Trudy Wells came 1st and 2nd in the respective B events. 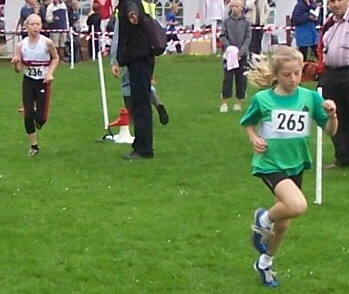 In the junior age groups Harriet Hunter, the youngest member of the team at just 11, won the U15 B 100m with training partner Melissa Baverstock taking third place in the A event. Melissa went on to take first place in the B 200m while Amy Waite was 2nd in the A. Melissa, Amy and Harriet were joined by Rachel Davies for another comfortable 4x100m win. Beth Wells and Georgi Lowe stole 15 of the 16 points available in the 1500m. Becky Summers won the 800m, a distance she always claims is not long enough for her. U15 Amy Waite reinforced the U17 athletes for the 100m and 300m events, and Sarah Williams and Julia Loveridge took valuable points in such diverse events as the Discus, 100m, 80mH and 300m. 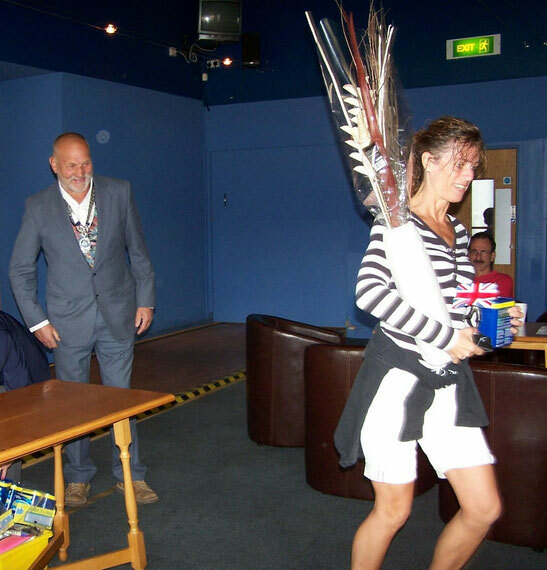 But possibly the greatest heroines of the day were Marion Loveridge and Paula Whitcher who stayed behind to represent Gloucester in the Avon League at Yate. This fixture conflict has the chance of denying the senior ladies team their fifth consecutive victory but with one match still to go in the Avon League there is the consolation of knowing that at the very least there is one league title already in the bag. 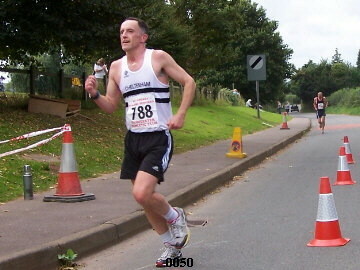 Seven members of Gloucester AC took part in the last of the summer 5km road races. 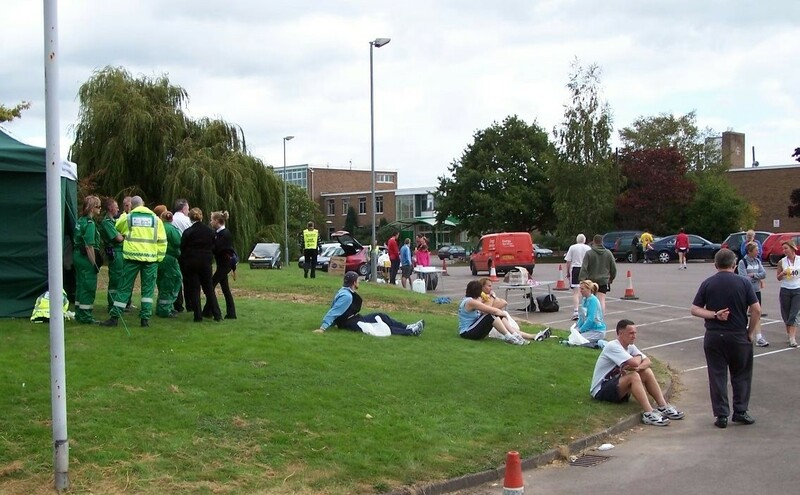 The race venue was changed at the last moment to the Pilot Inn, and hence a different course which most agreed was slightly slower than the normal Sandhurst route. 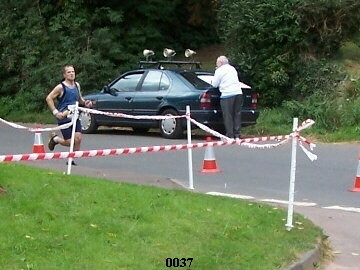 However, the course did not slow Luke Herbert, who was first home for the club in 16 mins 53 secs and 16th place. 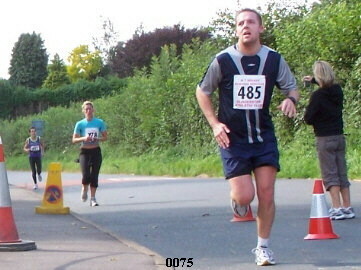 A great result considering that a long term injury meant that this was his first road 5km for several months. 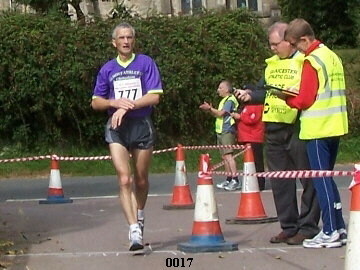 Chasing Herbert for the first mile, but not able to stay with his pace for the entire course was Dave Creswell, who missed going under 17 mins by a single second. 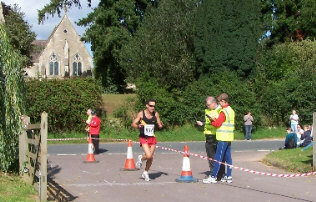 Next home was Mark Thrall, who just managed to finish in front of Matt Wade who was having a run at this short distance as part of his speed training for a marathon in October. 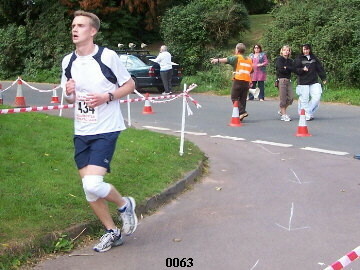 16th Posn: Luke Herbert (SM): 16 mins 53 secs. 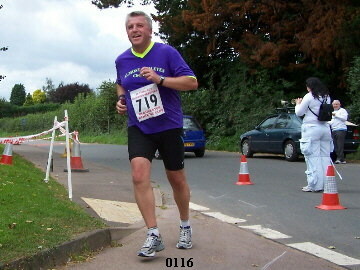 18th Posn: Dave Gresswell (V40): 17 mins 00 secs. 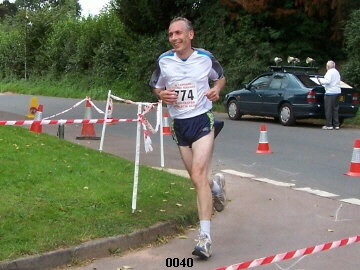 53rd Posn: Mark Thrall (V40): 19 mins 38 secs. 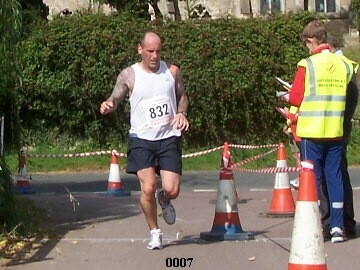 58th Posn: Matt Wade (SM): 19 mins 50 secs. 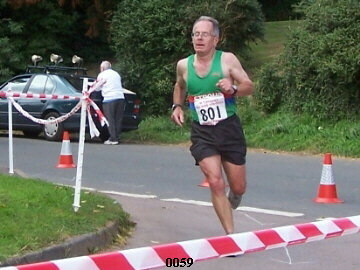 61st Posn: Dave Spackman (V60): 20 mins 06 secs. 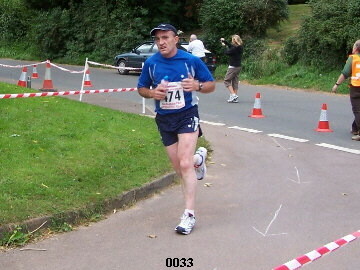 64th Posn: Steve Murden (SM): 20 mins 24 secs. 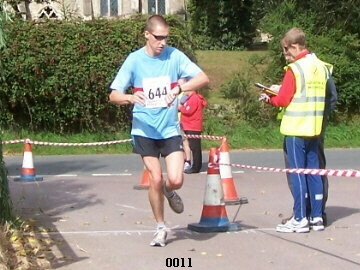 81st Posn: Bogdan Jochym (V55): 22 mins 11 secs. 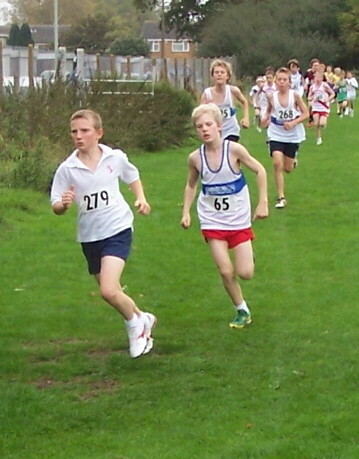 First home in the mile race was12 year old Adam Thrall who has continued to progress well this season over both 800m and 1500m and currently ranked in the top 10 in the South West over both distances. 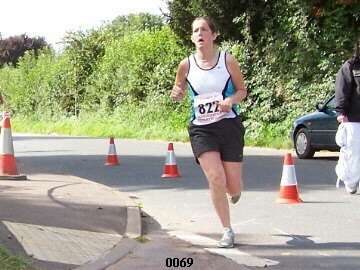 Second place went to Becky Summers (13) an established distance runner currently ranked 2nd in the South West over 3000m and senior member of the middle distance squad. 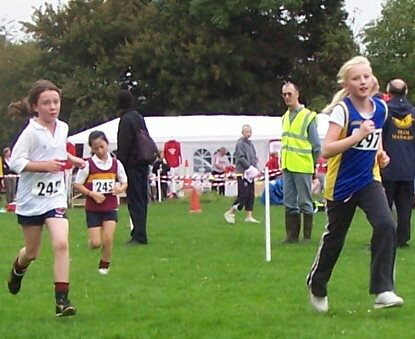 Training partner 13 year old Georgi Lowe in her first season with Gloucester finished well in fourth place. Bethany Wells won the trophy for the shorter half mile race for the second successive year on the back of an extremely successful track season. 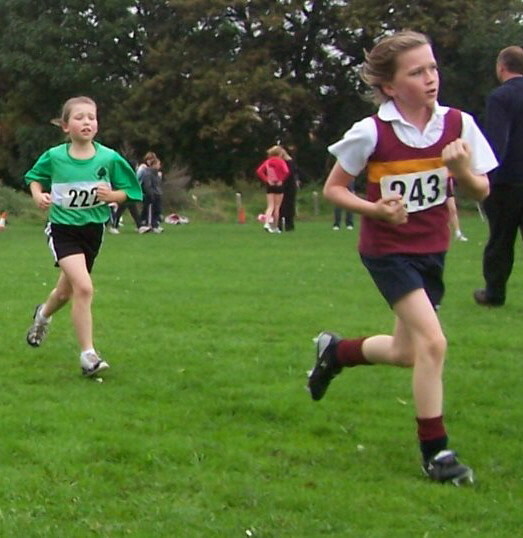 Currently ranked 5th in the UK in the under 13 girls 1200m, she has also netted no less than three grade one performances in the 800m, 1200m and 1500m (one of only three under 13 female athletes in the UK to do the hat trick this year). 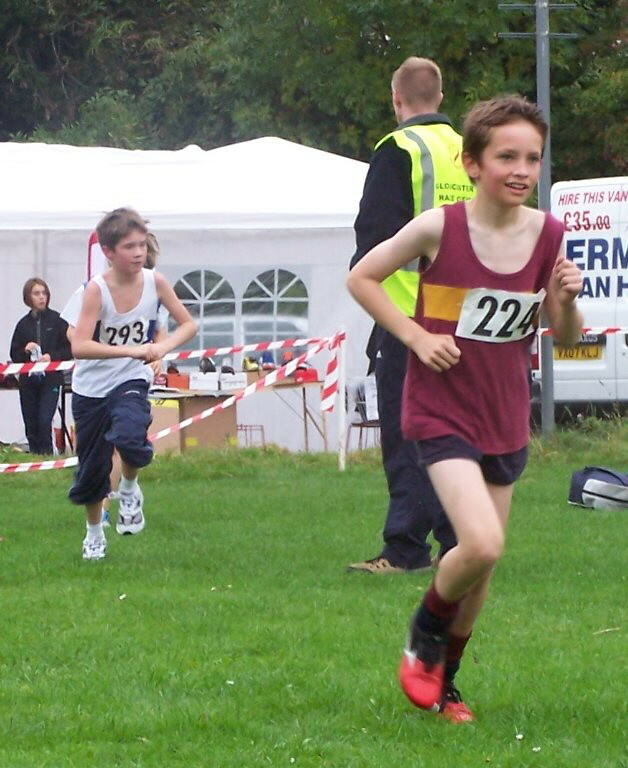 Following closely behind was 11 year old Sam Evans who looks to be another talented prospect for the future with a great run in second place and first male finisher. 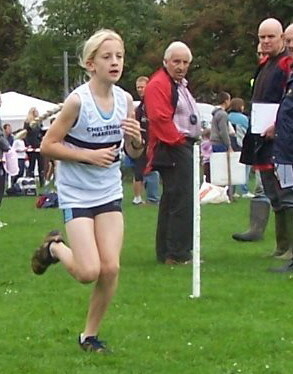 The third Gloucester athlete to finish was 10 year old Hannah Jones, in her first year with the club has performed extremely well on the track this season. The next club finisher close on Hannah’s heels was 10 year old Gabriella Lowe who also only joined the club at the start of the year. 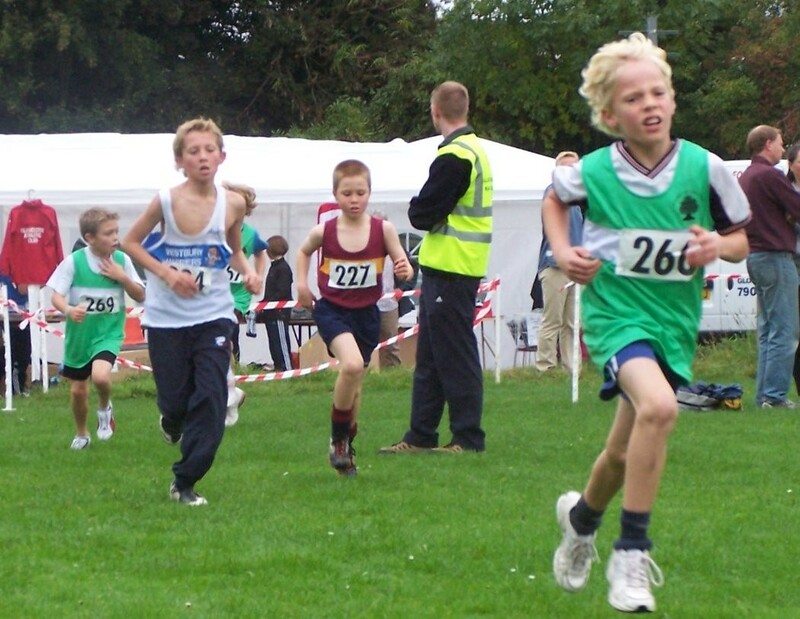 Making their debut in Gloucester colours in the shorter race were youngsters Harry Wells, Angharad Evans, Chloe Jones and Joseph Mower all looking to join the ranks of the junior distance squad in the next couple of years. 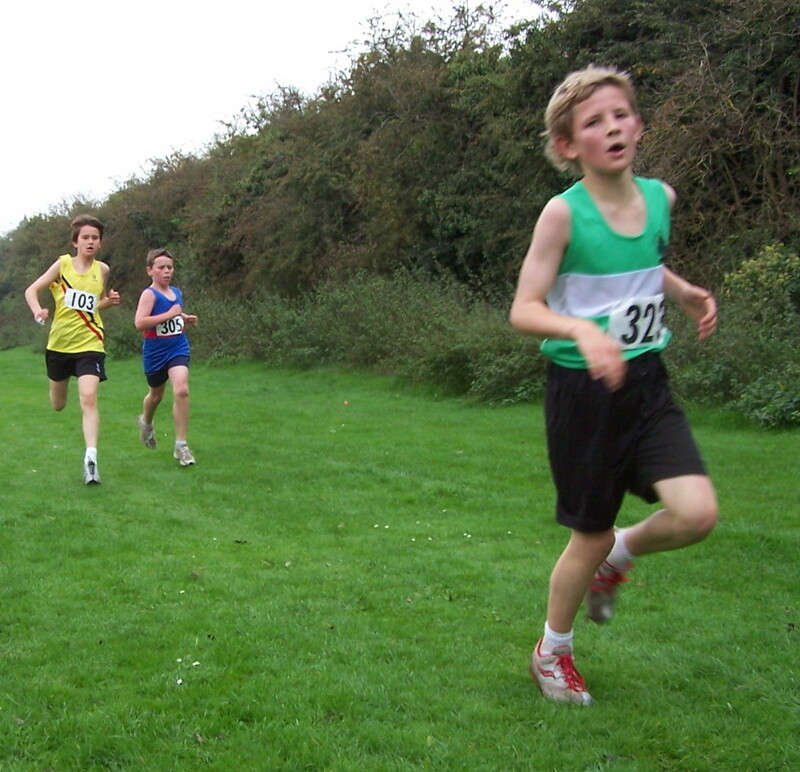 Any budding young athletes aged 10 to 14 who wish to take up middle distance and cross country running under the guidance of experienced qualified coaches, please contact Gloucester Athletic Club. 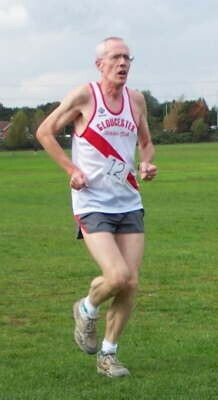 Gloucester AC have been crowned champions of Midland Men's League Division Three. 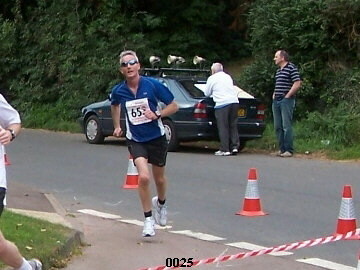 Fourth place in the final fixture on Saturday 4th August was good enough to secure the title from rivals Banbury. 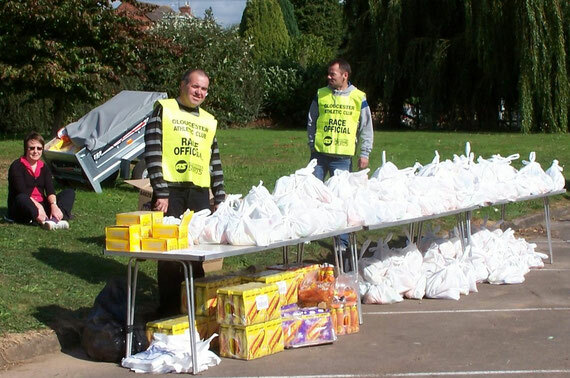 Both teams had 28 league points, but Gloucester had 956 match points to Banbury's 936. 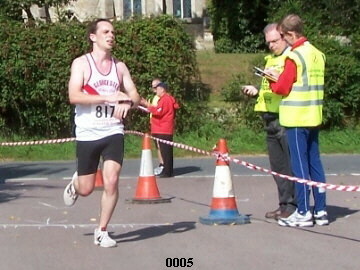 Gloucester got off to a bad start, with 800m runner Andrew De Camps pulling up with hamstring problems at the end of his race. 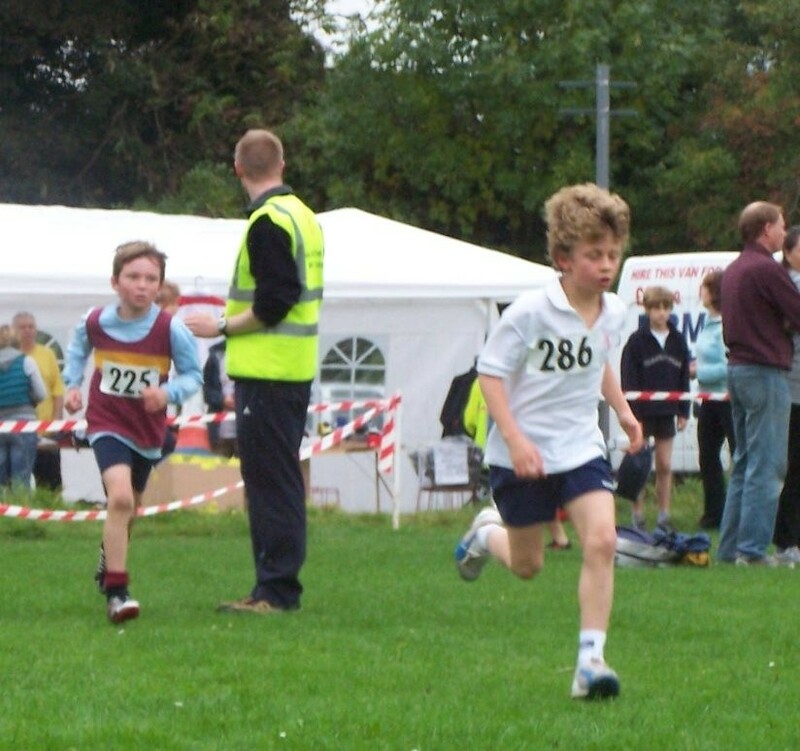 Richard De Camps took the place of his older brother in the 400m A race, picking up sixth place following his own injury problems. The only event that went to plan in the first third of the match was the hammer, where Wayne Powell won to make it four out of four and Alec Bilous set a new Vet 45 club record in finishing second in the B string. 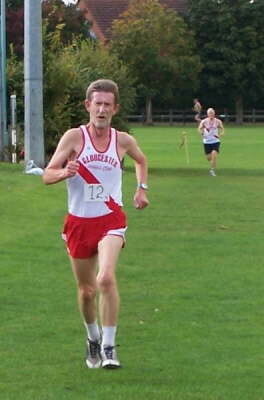 Simon Kellie won the 3000m steeplechase by more than 20 seconds in 10:11.04 and his brother Peter was third in the 1500m A race. 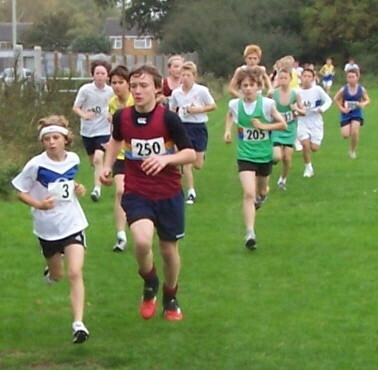 Ben Coldray was second in the B 1500m and Ashleigh Naylor was fourth in the 100m. 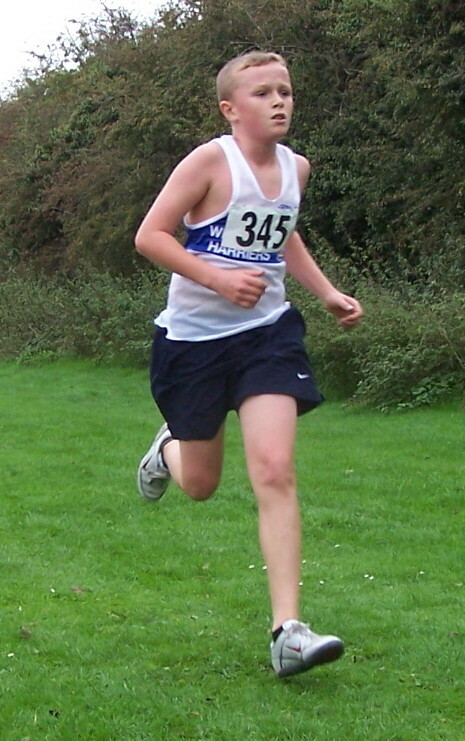 Powell moved on to the other throws, claiming third in the javelin, third in the shot putt and second in the discus. Oliver Cooper stepped out of the limelight of the absent Brendan Goss to win the triple jump with a new PB of 12.96m, and managed to run a 110m hurdles in the middle of his set of jumps. 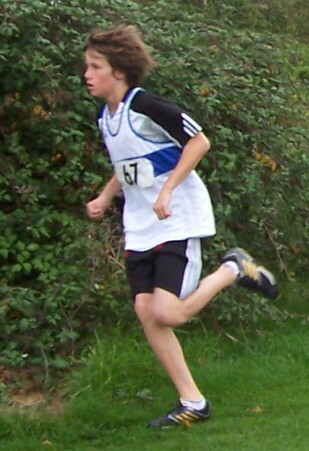 Cooper also had a second place in the B discus and, in all, competed in eight events to amass 42 points. 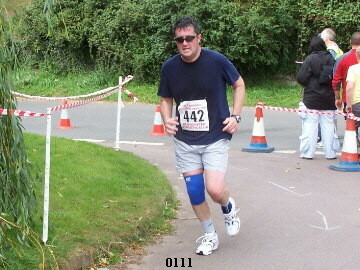 Even team manager Jeremy Mower strapped up a damaged ankle to compete both hurdles for valuable points. 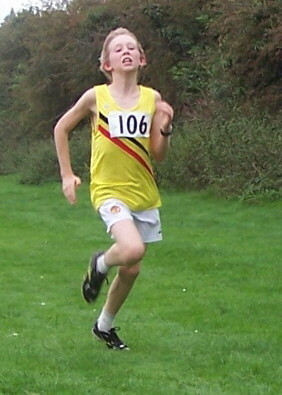 Andy Knight, 16, had a good debut with second place in the B triple jump and ran a good leg in the 100m relay. 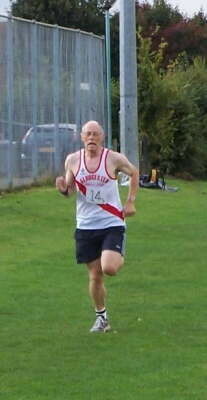 Gloucester's patched up 4x400m relay team made impressive reading, as Great Britain Vet 55 international Keith Short was nine years older than the combined ages of Ben Coldray, Richard De Camps and Jack Knight. Mower said: "The end of the match was really nerve-wracking as we thought we had won the league but were not completely sure, so we had to wait for what seemed like ages for the final results. "The team has used 22 athletes this year, of which nine are aged 21 years or younger, so things look bright for the future as they can only improve. "After three promotions in four years we have shown that the city club are once again a force to be reckoned with." 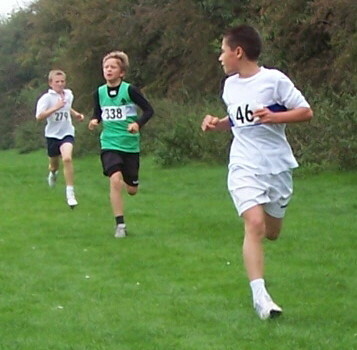 A String: 100m 4 Ashleigh Naylor 12.0, 200m 8 Oliver Cooper 25.8, 400m 5 Andrew De Camps 55.7, 800m 3 Andrew De Camps 1:57.09, 1500m 3 Peter Kellie 4:13.01, 3000m s/c 1 Simon Kellie 10:11.04, 3000m 7 Luke Herbert 9:59.03, 110mH 4 Oliver Cooper 21.3, 400mH 8 Oliver Cooper 72.7, long jump 4 Ashleigh Naylor 5.93, triple jump 1 Oliver Cooper 12.96, high jump 6 Oliver Cooper 1.60, shot putt Wayne Powell 3 11.57m, discus 2 Wayne Powell 36.42m, hammer 1 Wayne Powell 57.37m, javelin 3 Wayne Powell 48.55m, 4x100m 5 Gloucester 48.1, 4x400m 8 Gloucester 3:54. 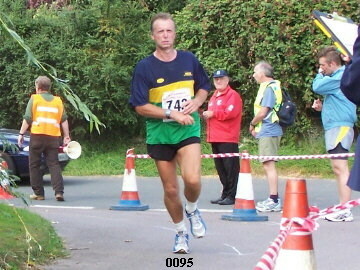 Wayne Powell and Alec Bilous won the A and B hammer respectively to give the team the perfect start. 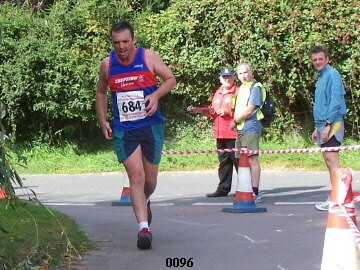 Powell also had a personal best in the shot, breaking the club's Vet 35 record, and was never out of the top three places. Alec Bilous set a PB and club V45 record for the shot - and the long jump competitors Brendan Goss and Ashleigh Naylor looked to have a clean sweep when, on his final jump of the day, the Banbury athlete just edged Goss into second place. The pair nonetheless set new PBs, with Naylor particularly delighted to go over six metres for the first time. Goss did get involved in a clean sweep of the triple jump, winning the A event as Ollie Cooper set a new PB in the B event. 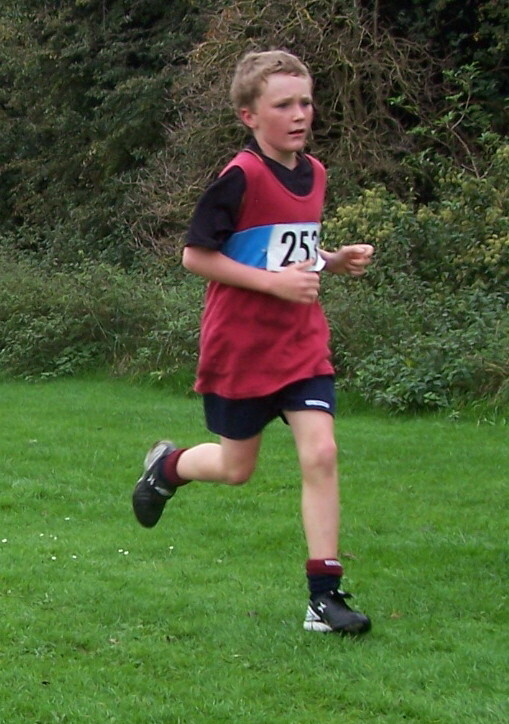 Star performer on the track was Andrew De Camps, who won the 800 metres in one minute 56.07 seconds and claimed second in the 400m. 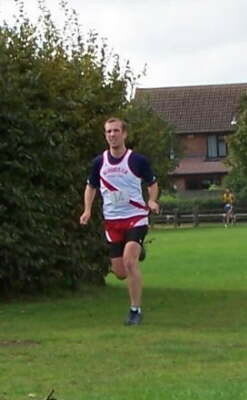 Having been ill earlier in the week, Ben Coldray ran the 1500m and was further down the field than usual. 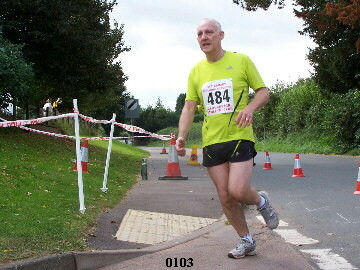 Richard De Camps picked up valuable points in his two races. 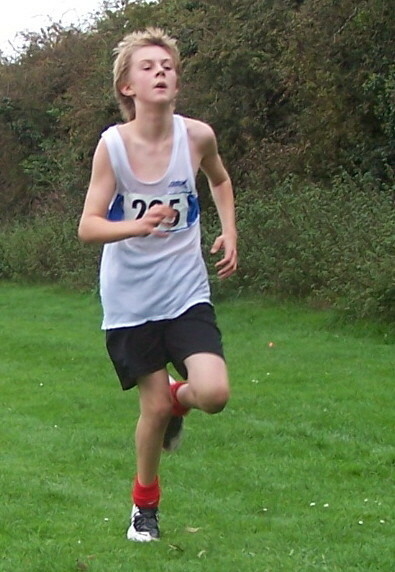 Newcomer Jack Knight had an incredible senior debut for the club, recording two PBs in the 200m and 400m. 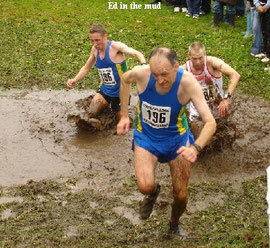 Veteran track athletes Jeremy Mower and Ian Summers ran the steeplechase and 5000m, both gaining valuable points. Gloucester will make the short trip to Worcester on August 4 and hope to secure the league title. 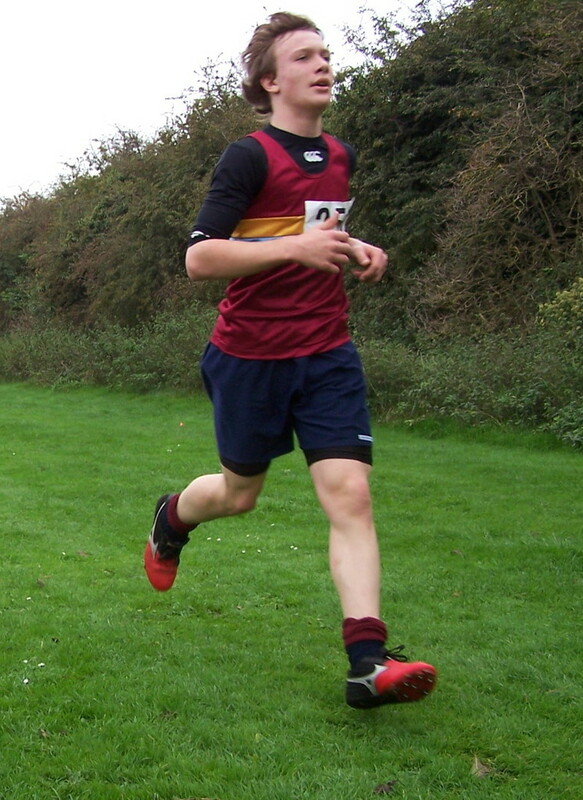 A String: 100m 3 Ashleigh Naylor 11.6, 200m 6 Ashleigh Naylor 23.7, 400m 2 Andrew De Camps 50.9, 800m 1 Andrew De Camps 1:56.07, 1500m 8 Ben Coldray 4:30.08, 2000m s/c 4 Jeremy Mower 7.13.08, 5000m 5 Ian Summers 18.21, 110m H 2 Brendan Goss 18.2, 400m H 4 Ashleigh Naylor 64.3, Long Jump 2 Brendan Goss 6.44, Triple Jump 1 Brendan Goss 13.66, High Jump 5 Brendan Goss 1.65, Pole Vault 5 Brendan Goss 2.25, Shot Putt 3 Wayne Powell 11.78 PB, Discus 2 Wayne Powell 36.40, Hammer 1 Wayne Powell 56.28, Javelin 2 Wayne Powell 50.01, 4x100m 3 Gloucester 46.7, 4x400m 8 Gloucester 3.47.04. 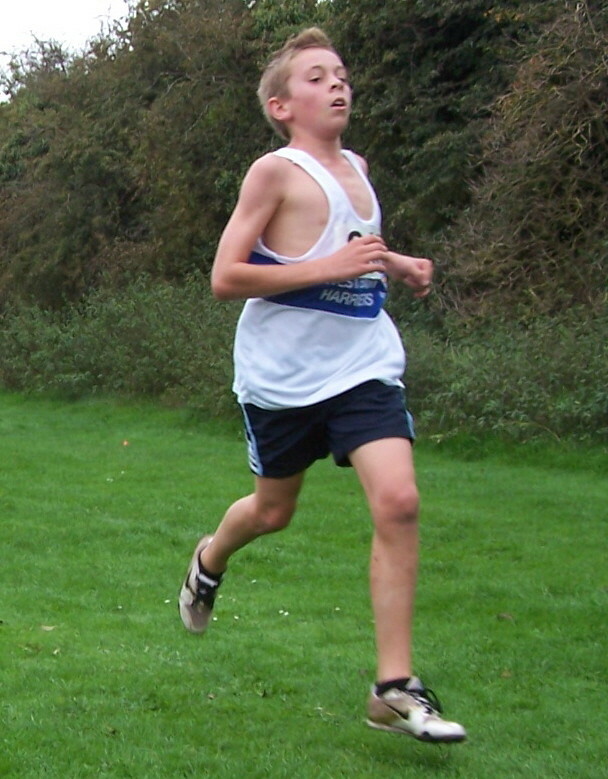 B String: 100m 4 Brendan Goss 11.9, 200m 6 Jack Knight 24.5 PB, 400m 3 Jack Knight 54.3 PB, 800m 6 Richard De Camps 2.10.03, 1500m 3 Richard De Camps 4.37.09, 2000m s/c 4 Ian Summers 7.27.07, 5000m 4 Jeremy Mower 18.32, 110mH 3 Oliver Cooper 21.2, 400mH 5 Oliver Cooper 70.8, Long Jump 1 Ashleigh Naylor 6.01PB, Triple Jump 1 Oliver Cooper 12.90PB, High Jump 4 Oliver Cooper 1.60, Shot Putt 2 Alex Bilous 9.38PB, Discus 2 Oliver Cooper 25.31, Hammer 1 Alex Bilous 34.63, Javelin 4 Dale Price 31.42. 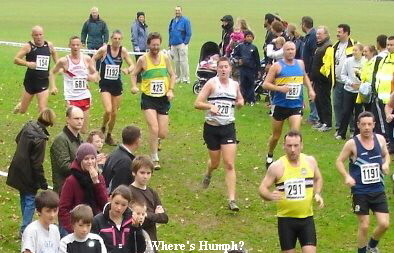 Match Score: 1 Gloucester 248, 2 Birmingham Rowheath 220.5, 3 Banbury 218.5, 4 Leamington 215, B/R 215, 6 Daventry 190, 7 C/S 170.5, 8 Worcester 164.5. Gloucester AC remain on course for promotion after cementing their lead at the top of Midland Men's League Division Three. Wayne Powell got the club off to a good start in their latest fixture, winning the A string hammer, while Alex Bilous - returning after a five-year absence - was third in the B string. 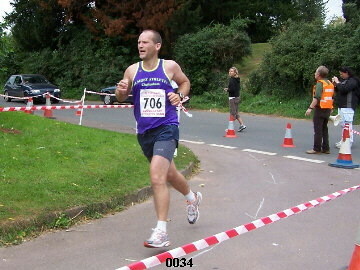 Powell showed his value to Gloucester by finishing second in the javelin, second in the discus and third in the shot. 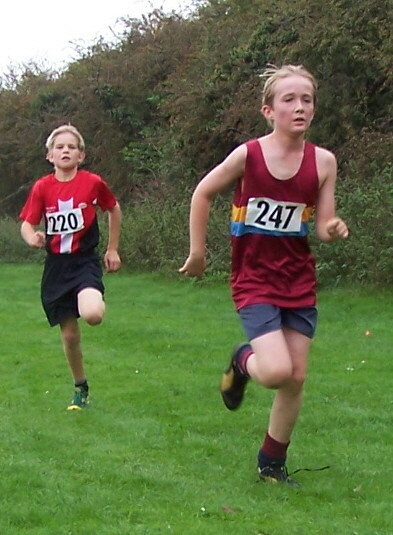 Ryan Preddy turned out for his first race of the season and, despite little training due to an ankle injury, still managed 22.8 second for third in the 200 metres and 11.6 for second in the 100m. Oliver Cooper had a good day with a personal best in the high jump of 1.70m. It was all the more remarkable as the city still does not have high jump facilities for training and he had only ever jumped four times before. 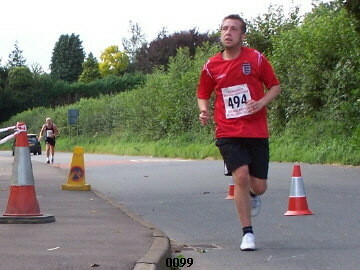 Curtley Phillips finished third in the B string 100m in 11.8, an event he has not done for a while. 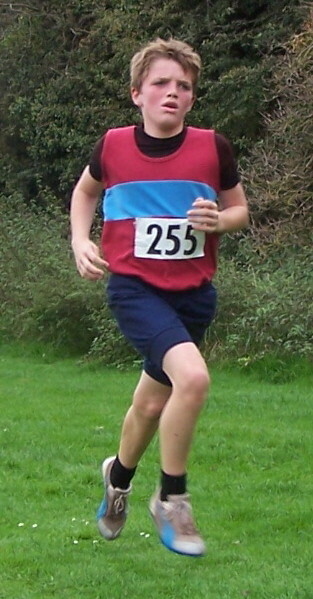 Dale Price, 16, competed in his non preferred events, finishing fourth in the A 400m hurdles, fourth in the B high jump and third in the B javelin. 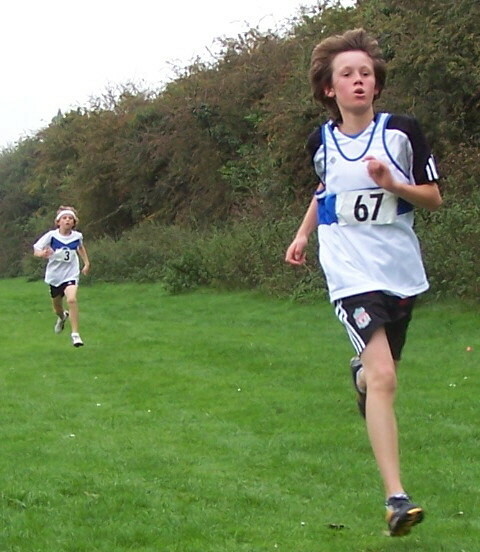 Richard Farrow showed he has successfully switched from middle distance, finishing third in the B 200m in 23.9 and fourth in the B 400m in 53.7. 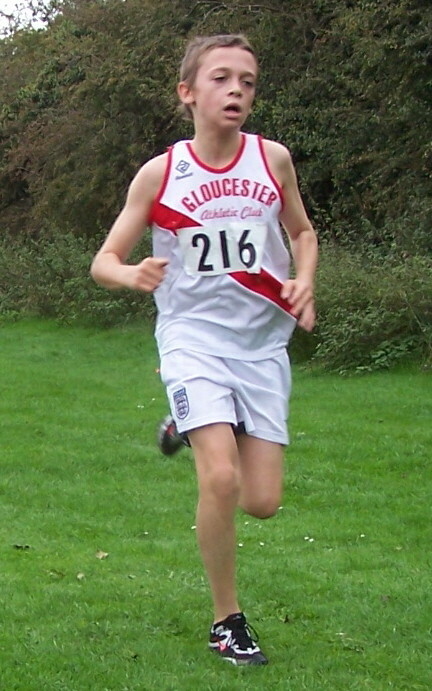 Andrew De Camps made his debut in Gloucester colours in the 800m and finished second in a close contest in 1:54 and was also third in the 400m. 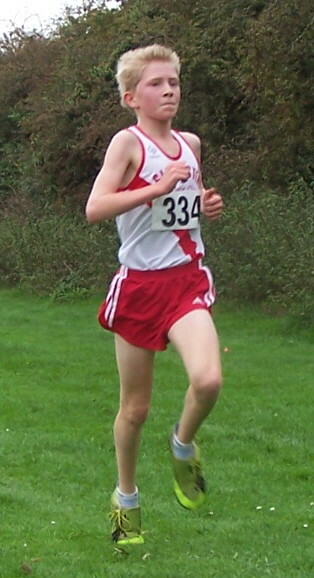 Younger brother Richard De Camps was fourth in the 800m B race and showed real determination to finish fourth in the 1500m B race as he sprained his ankle during the race. 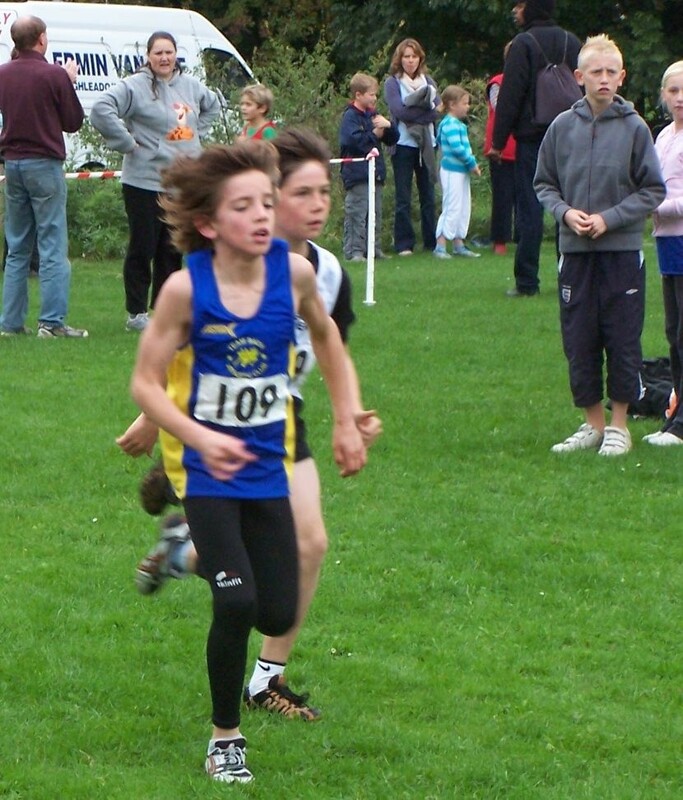 Ben Coldray, 14, finished fourth in a classy 1500m A race in 4:14.7, less than three seconds behind the winner. 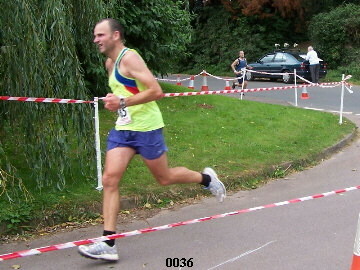 Simon Kellie returned after a two-year absence and finished second in the A 3000m steeplechase. Jeremy Mower showed no sign of fatigue after racing 100K two weeks ago and was first in the B string 3000m steeplechase. 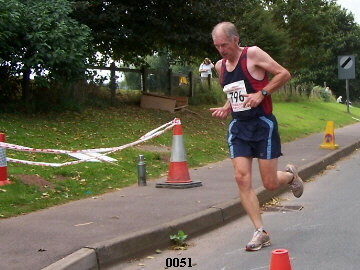 Dave Gresswell, a veteran athlete who seems to get better with age, finished fourth in the B 3000m. 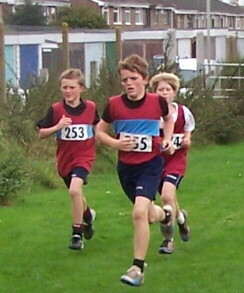 Gloucester finished the day with an exciting 400m relay win. Price ran 56.2 for the first leg, keeping the team in contention, and Andrew De Camps then ran 51.0 to move them up to second. 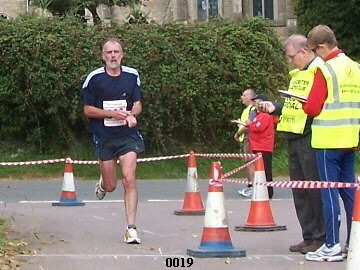 Farrow kept them in second, handing over to Preddy, who by 200m had a 20m lead and had time to glance over his shoulder on the bend. He looked relaxed as he strolled over the line in 50.6 for a total time 3:30.05. 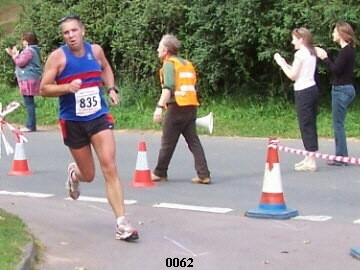 Ian Summers missed his first Midland League match for some years as his legs were still sore from his record breaking run of Hadrian's Wall six days earlier. 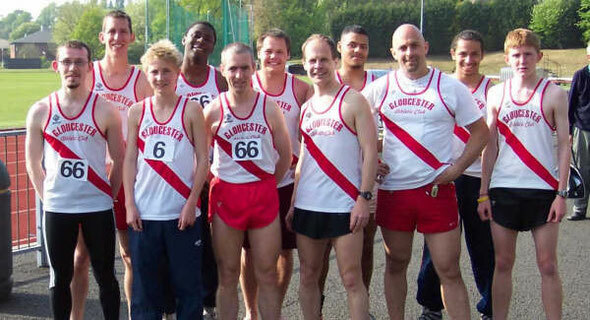 Gloucester men's team won their first fixture in Division 3 of the Midlands Track and Field League at Birmingham University despite missing four of their track stars in Ryan Preddy, Richard Davenport, Peter and Simon Kellie. 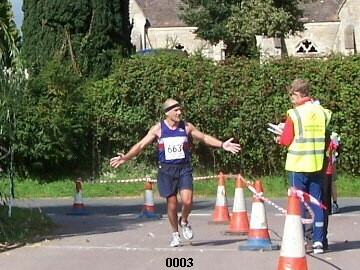 Gloucester welcomed the return of Justin Sysum who with Wayne Powell dominated the throwing events. Both threw three personal bests out of the four throwing disciplines. Wayne's club record hammer throw of 58.25m was close to the Divisional record and he hopes to have broken this by the end of the season. 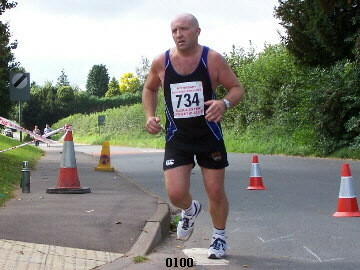 Wayne also broke the club record for the discus with his throw of 39.18m. 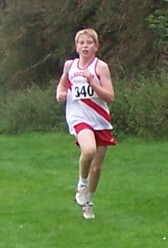 Brendan Goss won the "A" long and triple jumps and Curtley Phillips won the "B" long and triple jumps. 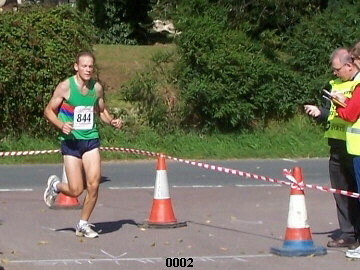 Ollie Cooper gained valuable points in his non preferred events of the high jump and both hurdles. 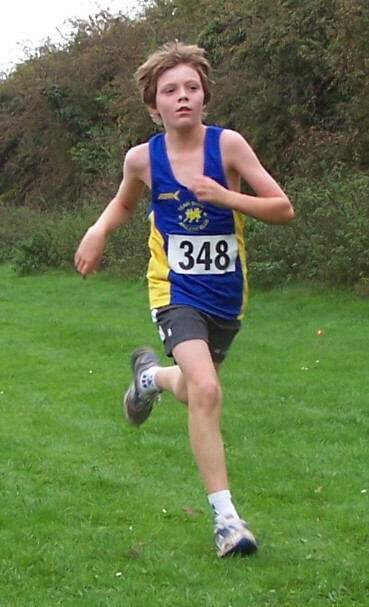 Ashleigh Naylor faired well in both "A" sprints running close to his personal bests and set a personal best in the 400m hurdles an event he has only learnt recently. 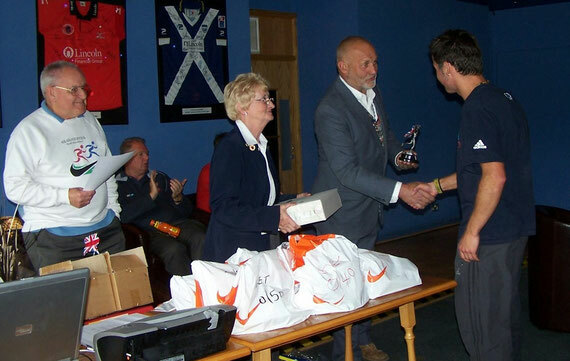 Youngest member was Ben Coldray who is in his first year as an Under 17. 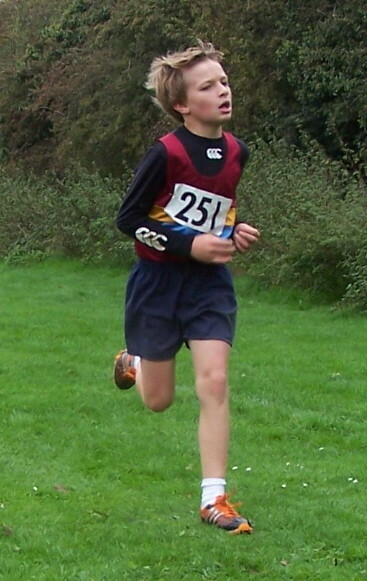 Ben achieved an amazing personal best of 4 min 14.8 sec for 1500m knocking 7 seconds off his previous time. 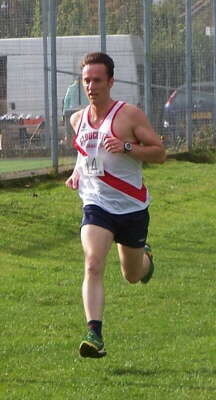 Not to be out done Richard De-Camps also achieved a PB for 1500m. 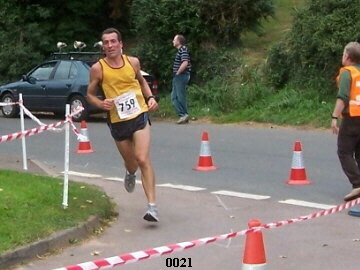 Richard was competing in his first league match for Gloucester under the higher claim ruling as he is an athlete with the Forest of Dean Athletic Club. 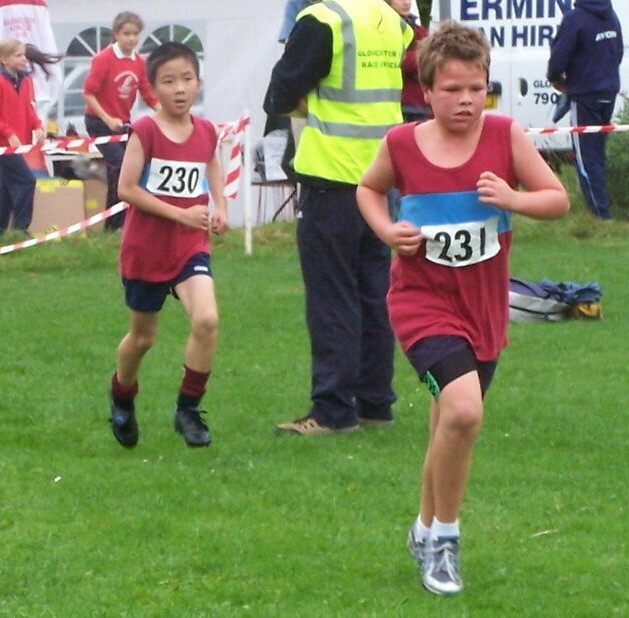 Next match he will be joined by his elder brother Andrew who was unavailable as he was competing for his university at the BUSA championships. 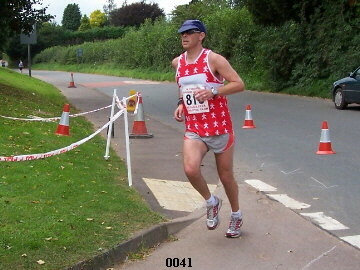 Dave Gresswell (Vet40) rallied to the call running an 800m and 5000m only two weeks after his London Marathon efforts. 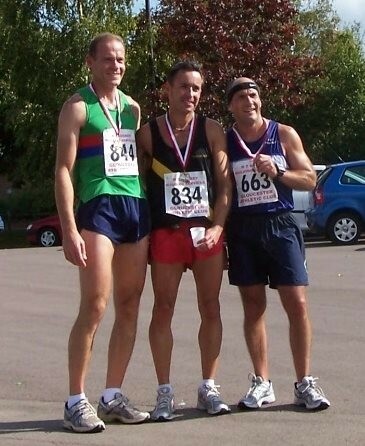 The other two veterans had a great battle in the 2000m steeplechase with Jeremy Mower breaking the clubs Vet 40 record by 15 seconds and Ian Summers finishing within 2 seconds of his best time. The club were elated with their finish as they had targeted 3rd place based on having there five fastest track stars out due to various reasons. The result showed that Gloucester now have some depth to the team and great team spirit as an amazing three club records and eleven personal bests were set during the day, which in itself is a club record. The team manager Mower said all we really need now is a specialist pole vaulter and hurdler and I think we could be unbeatable this year. 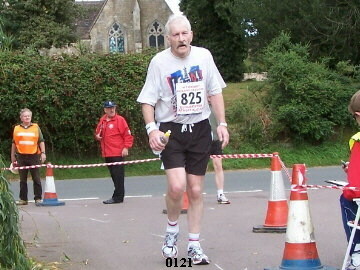 So if anyone feels like coming out of retirement please contact Jeremy Mower. 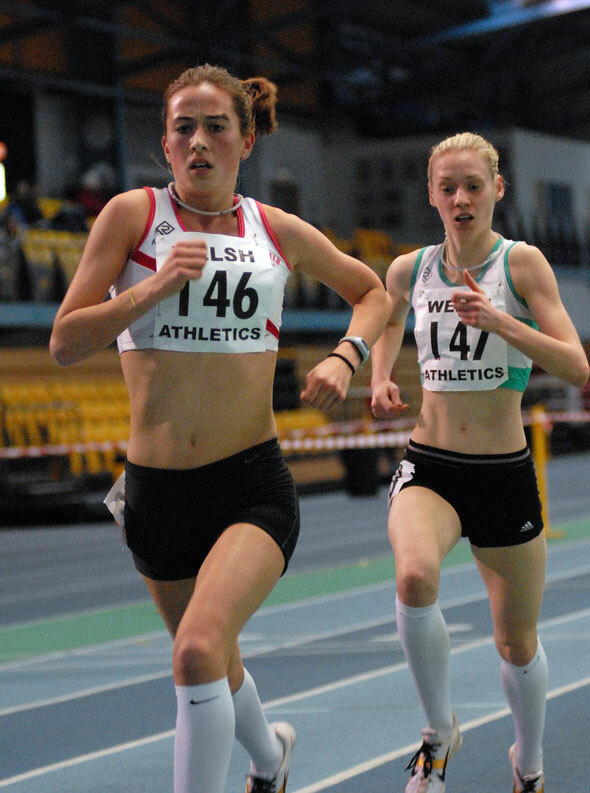 Emily Pidgeon won the Open 3000m in the Welsh Open Senior Championships in Cardiff on 13th January in 9,23.17, ahead of Jessica Sparke in 9,29.21.